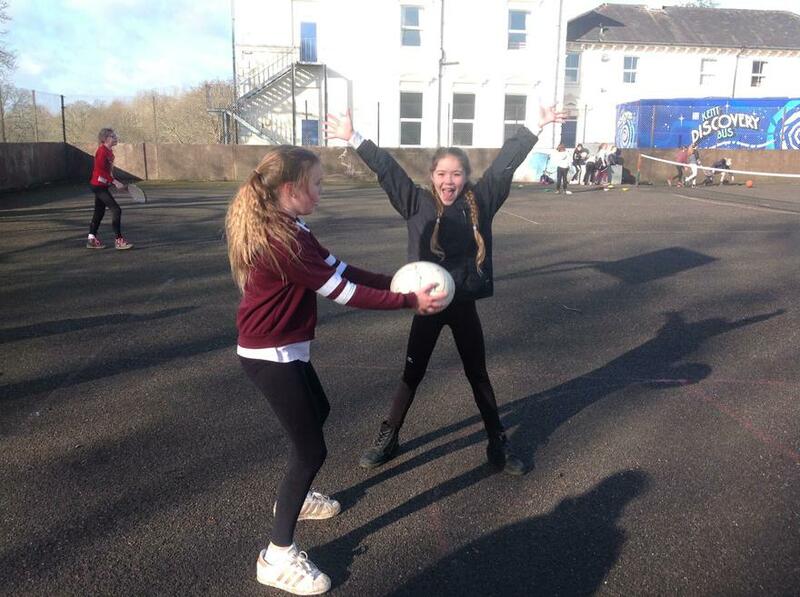 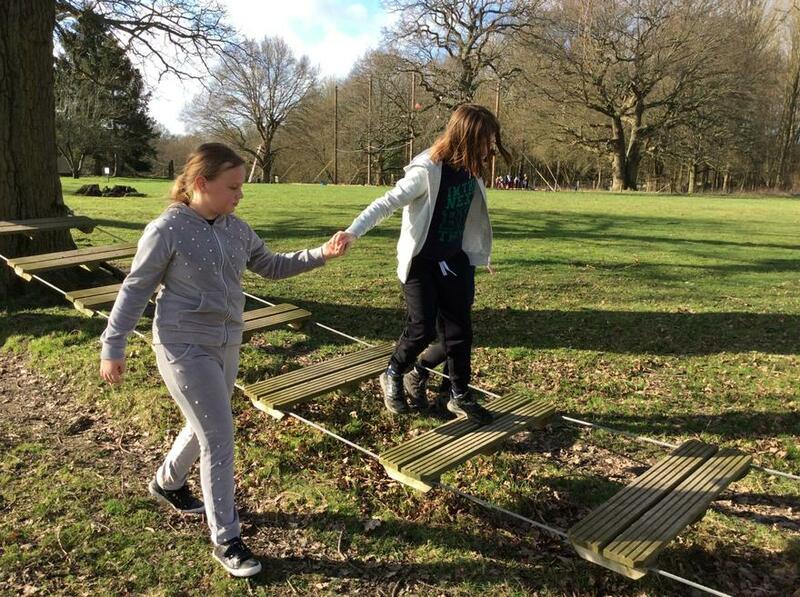 We will also post photographs of activities that have been happening in Eagles as well as any useful links for use at home. 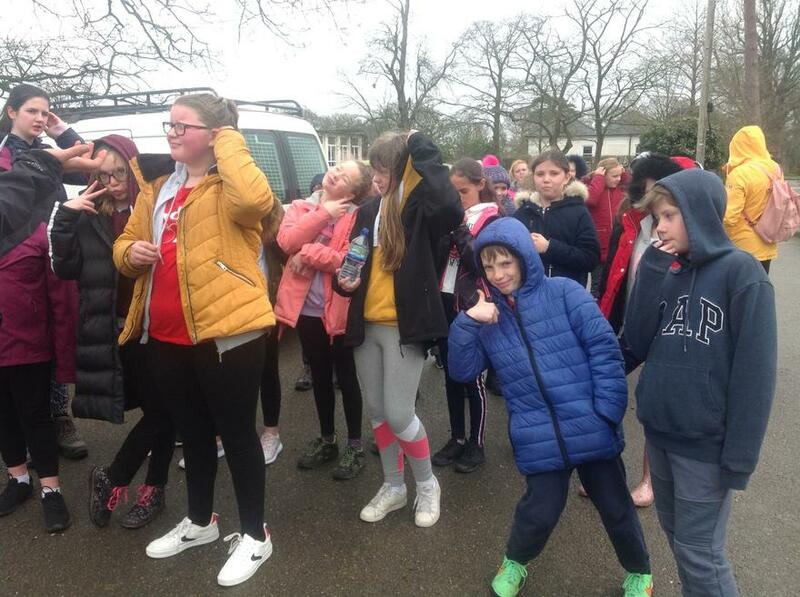 Please check back regularly for any updates! 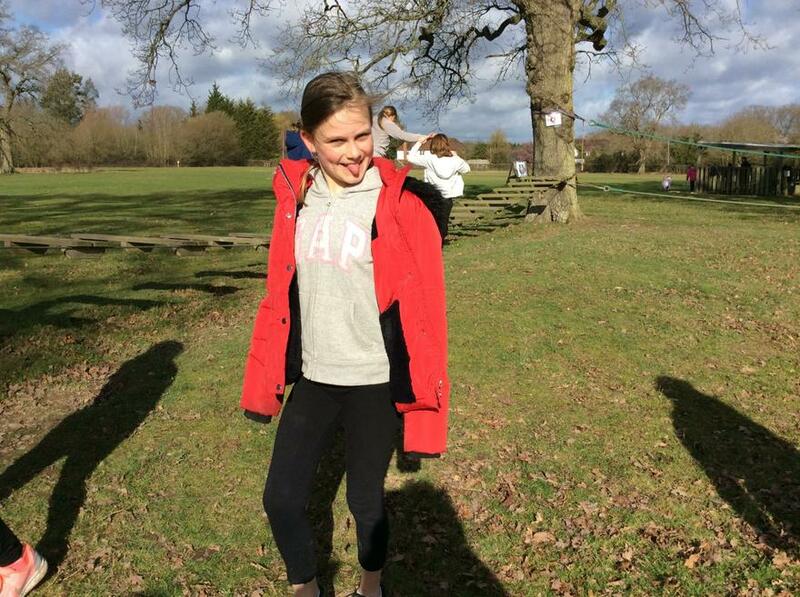 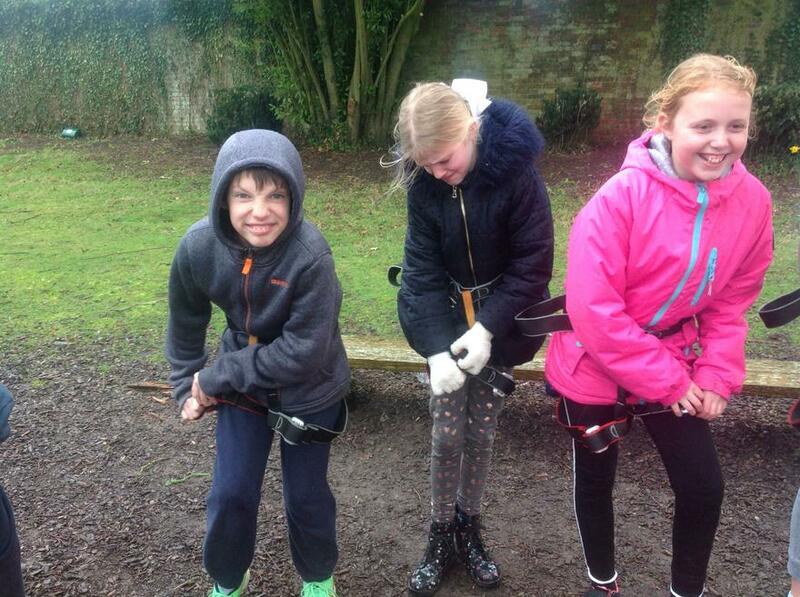 Eagles Class have been reading Outlaw by Michael Morpurgo, so we went into the woods to get into character. 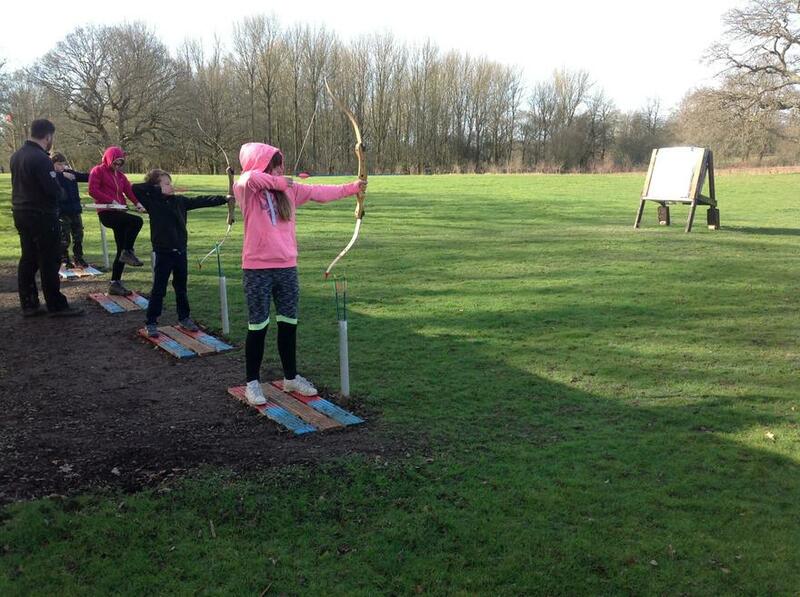 The children were allowed to choose their branches to investigate which would make the best bow. 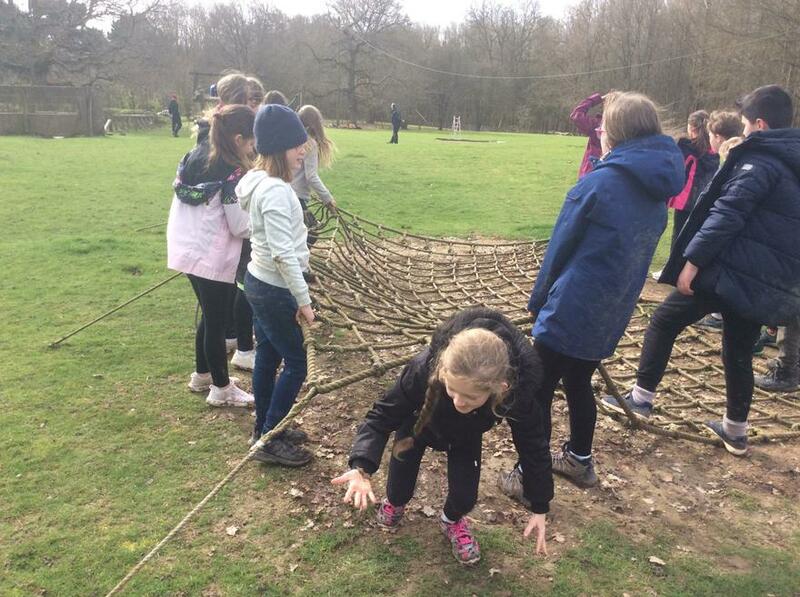 The majority went for fallen branches, so Mrs Quinn chose a flexible young branch to demonstrate the tension it can create. 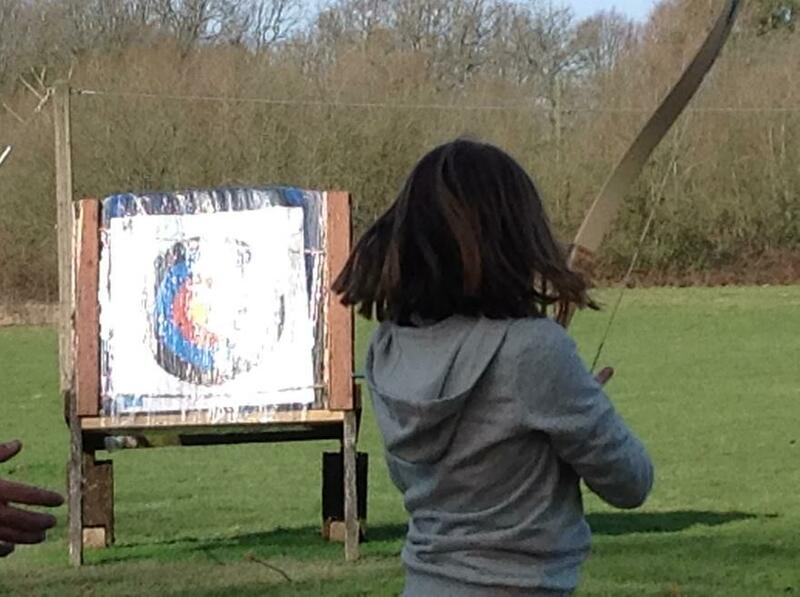 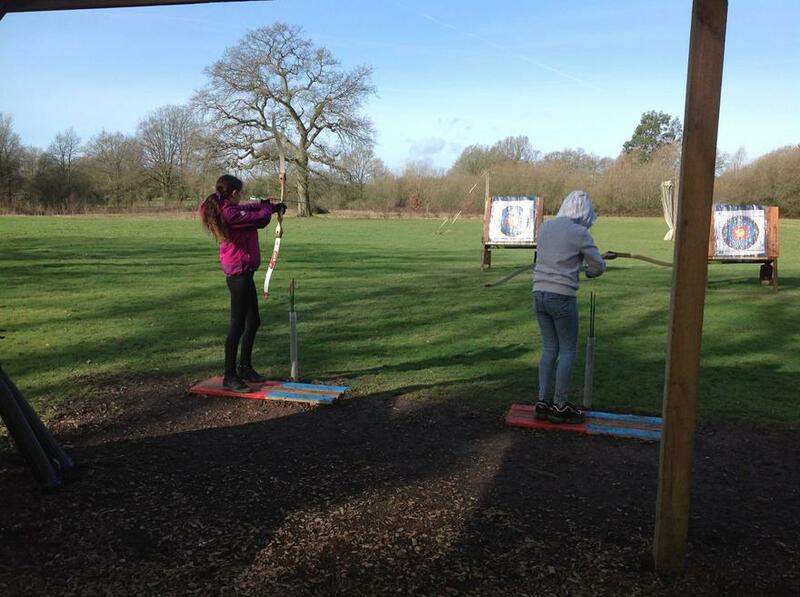 We also made arrows and tried out the bows with lots of success. 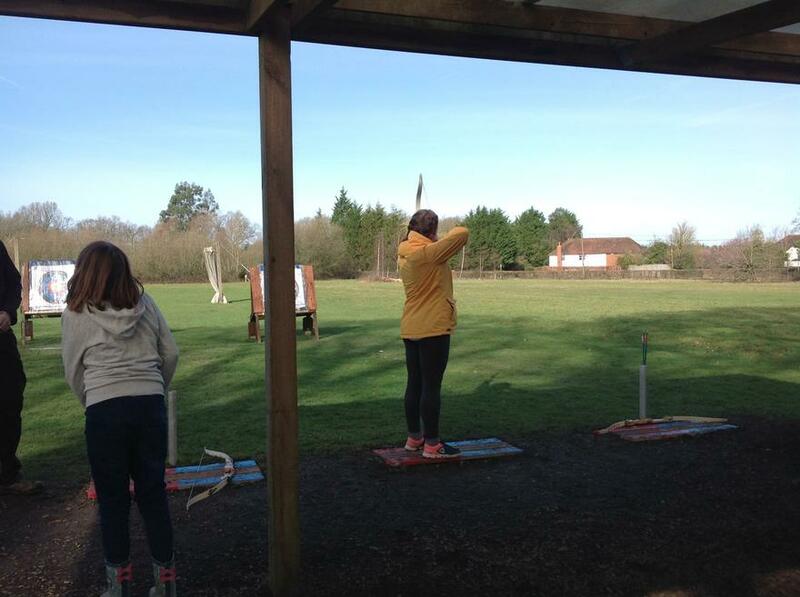 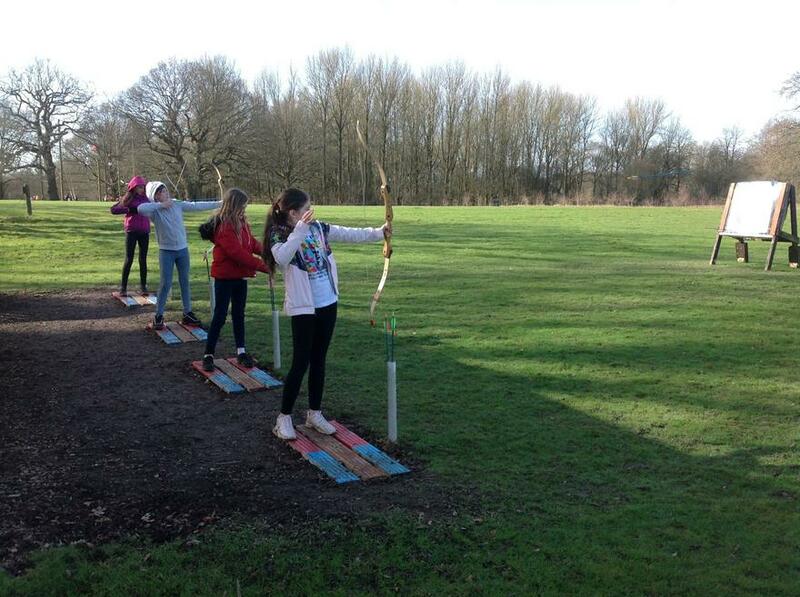 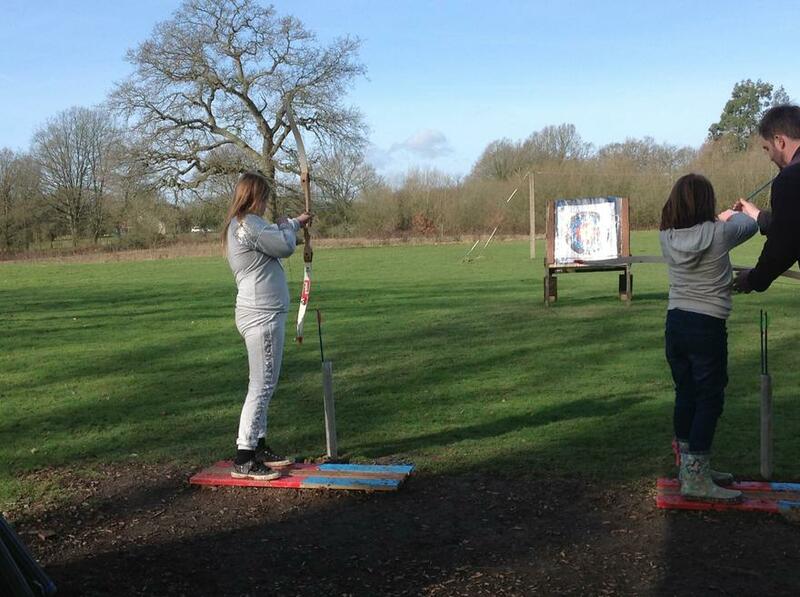 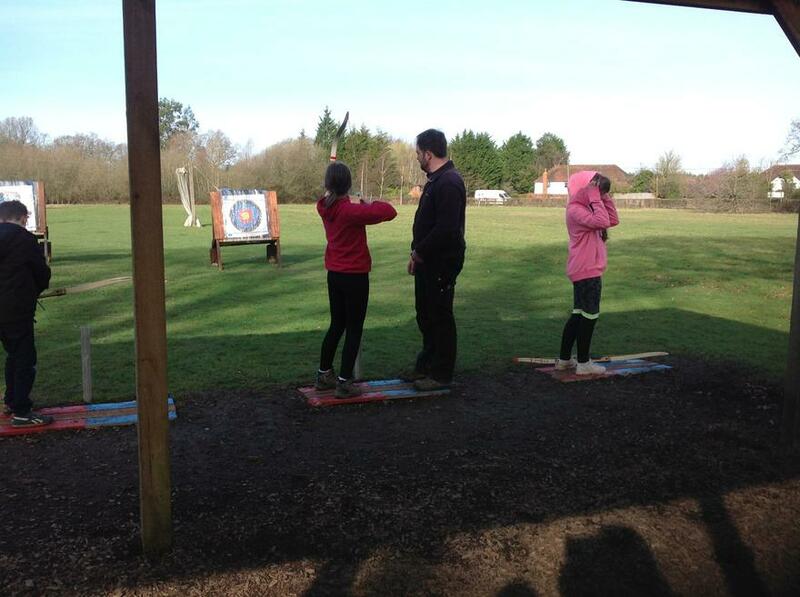 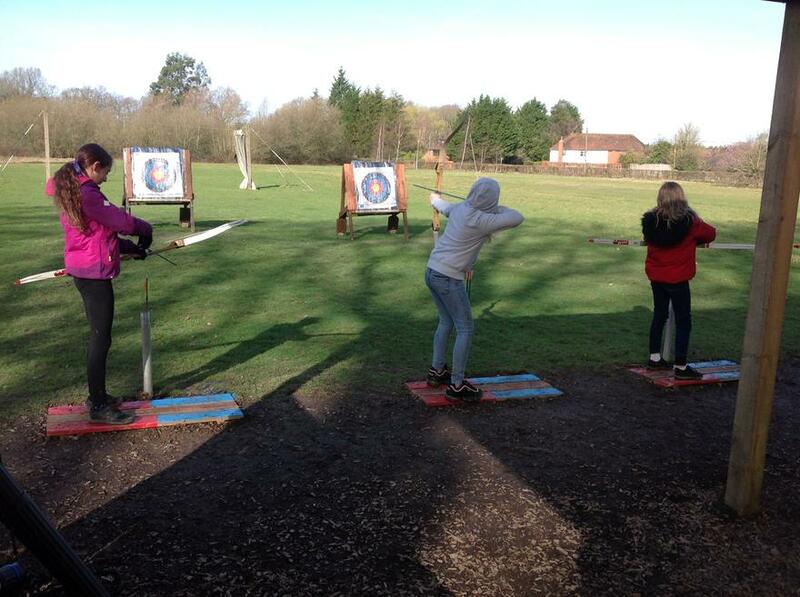 The following day we role-played Robin teaching the Outlaws how to use bows and arrows, to help inspire our writing. 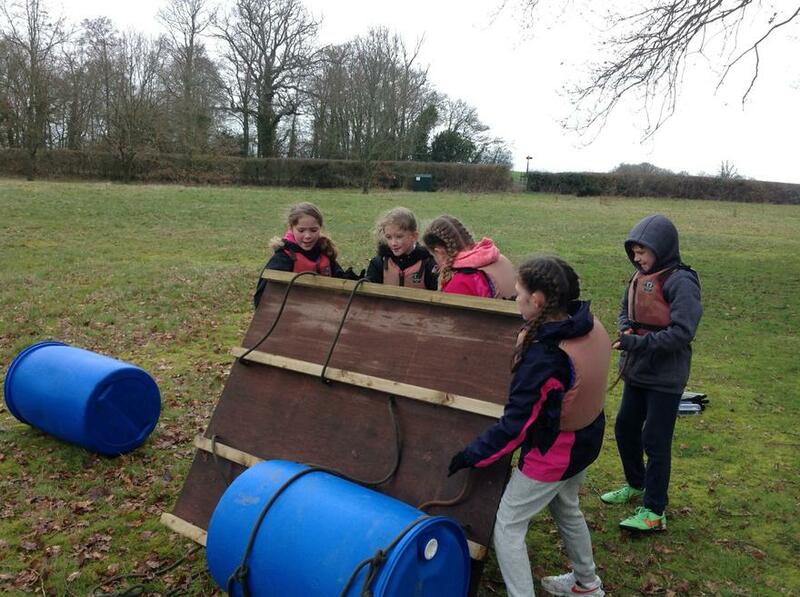 The hope is to create a campfire to re-enact the Outlaws cooking next. 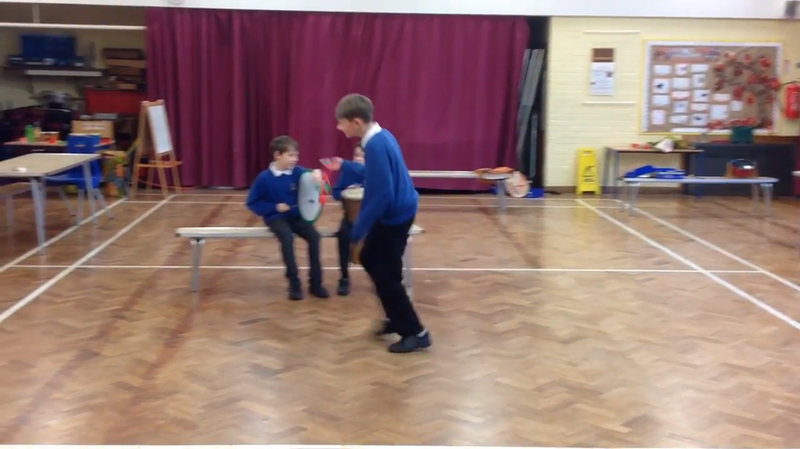 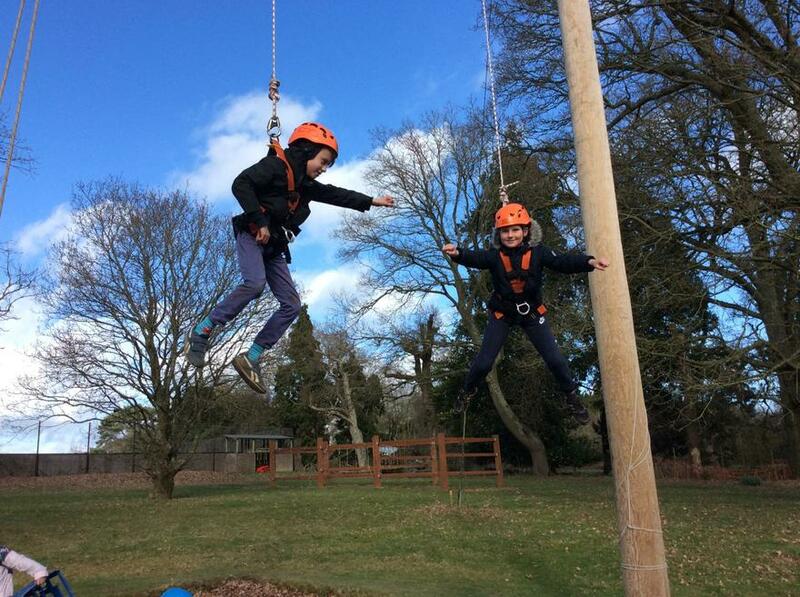 As part of Science Week, we launched rockets high into the sky. 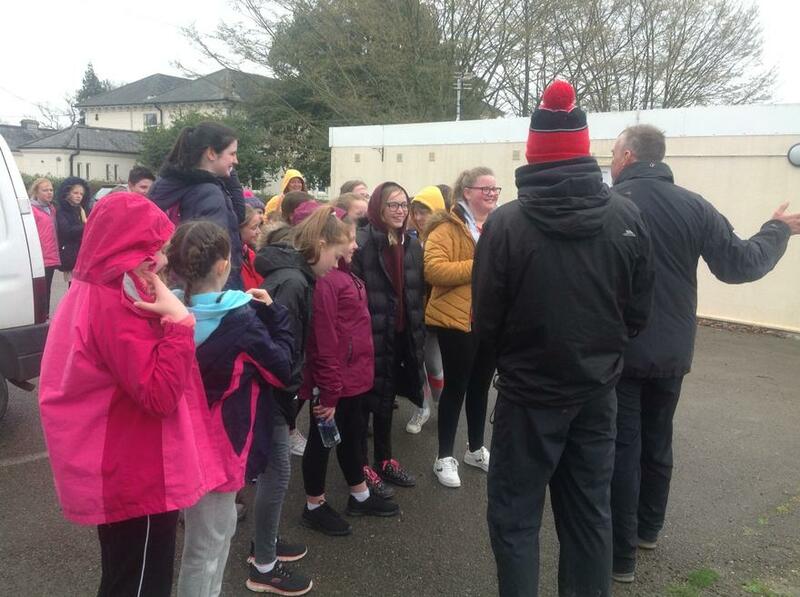 Discussing the experience we realised that we were actually looking at the effects of Newton's Third Law and then researched the scientific reasons for the rocket being propelled into the atmosphere. 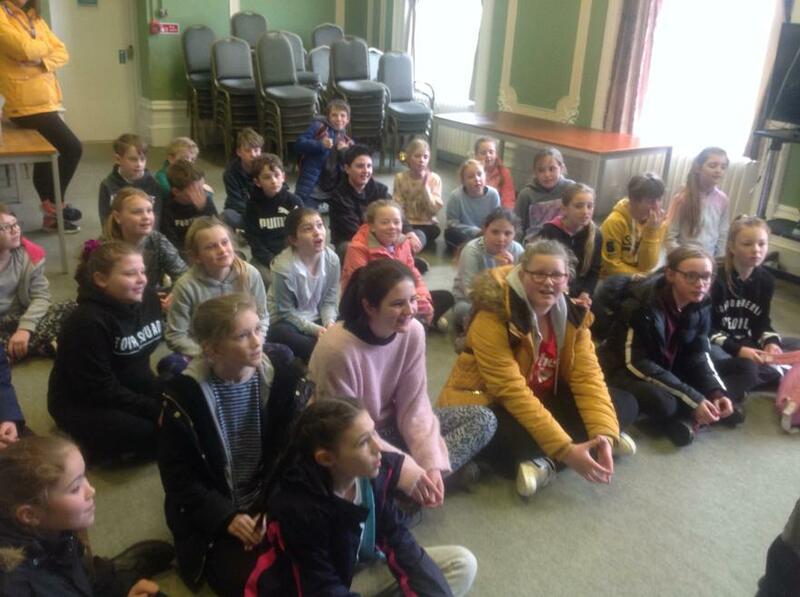 The children had a great time on day one. 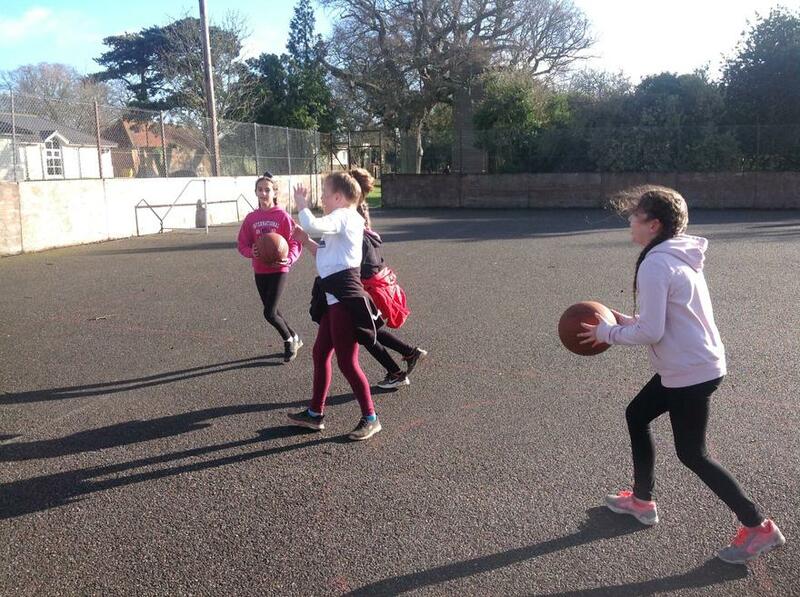 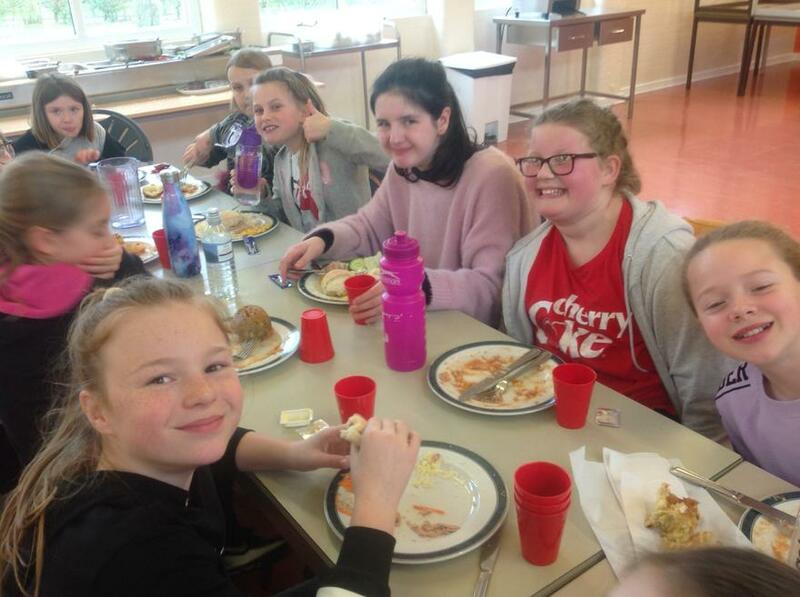 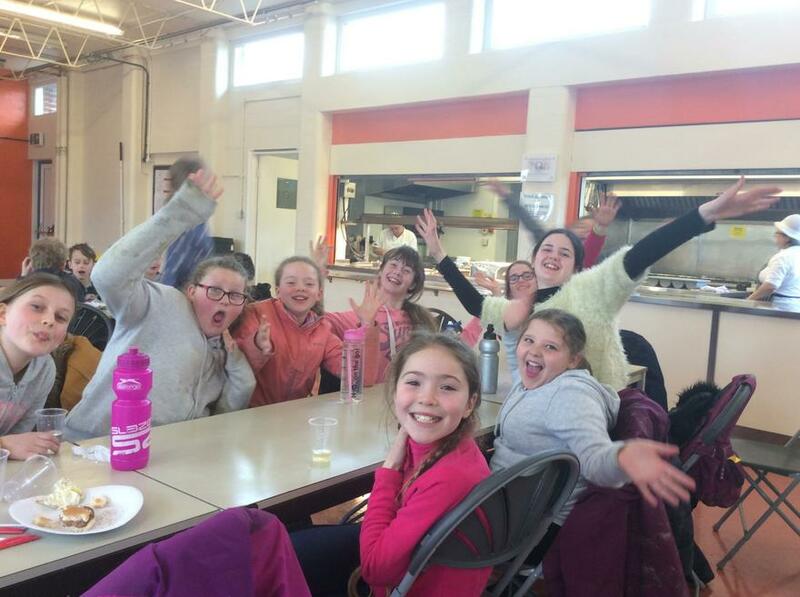 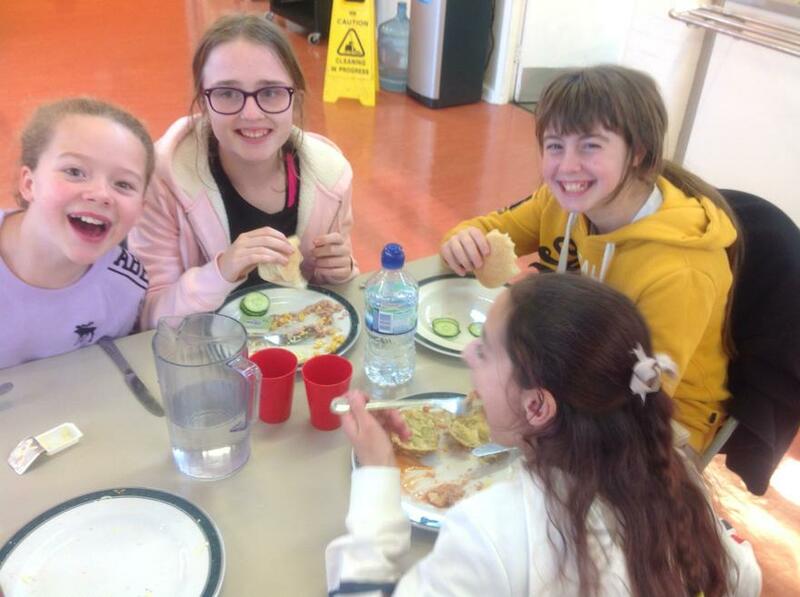 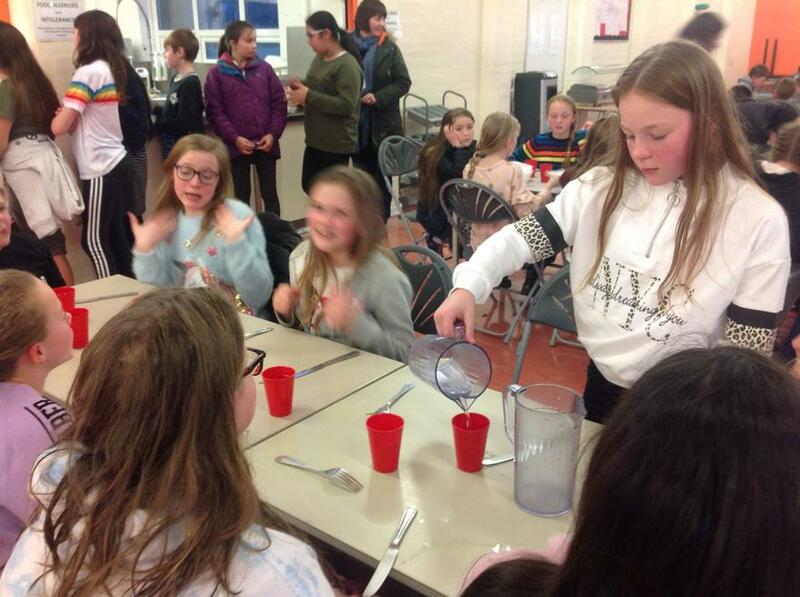 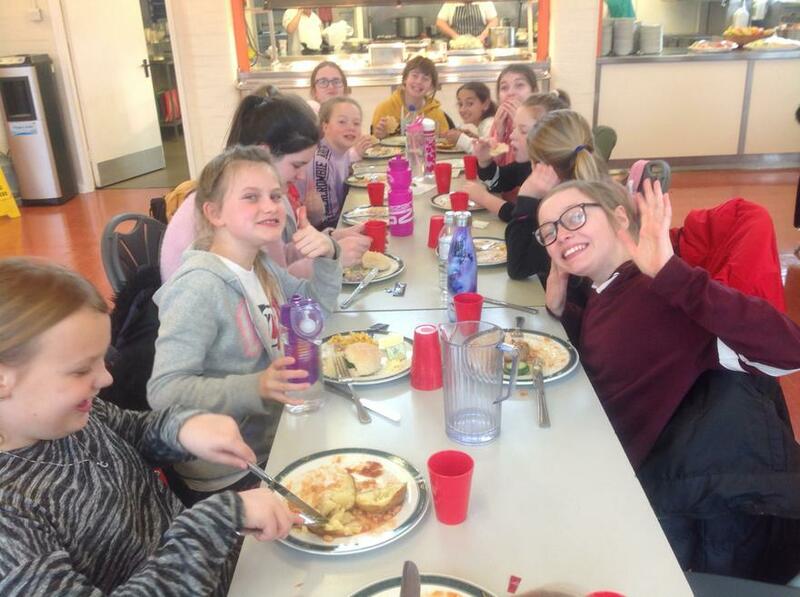 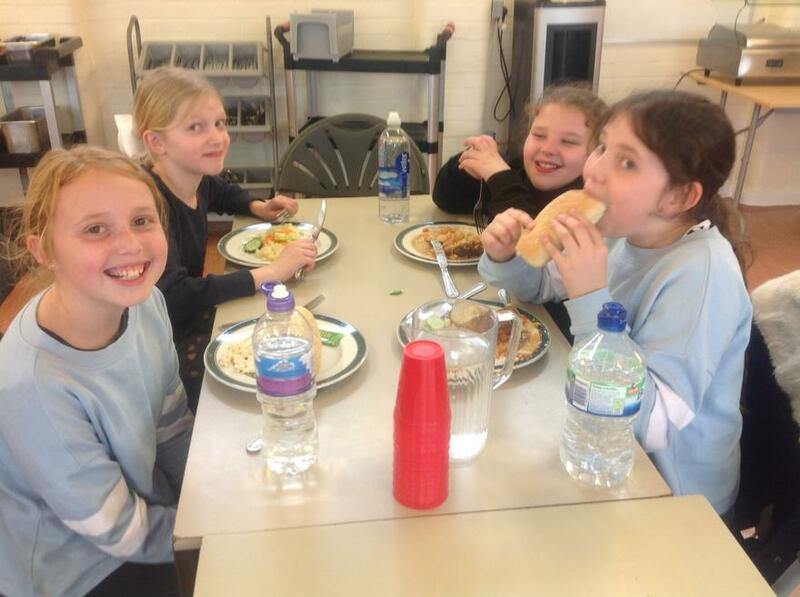 After a good journey and a very warming jacket potato lunch with a variety of fillings, we got stuck into our first activities. 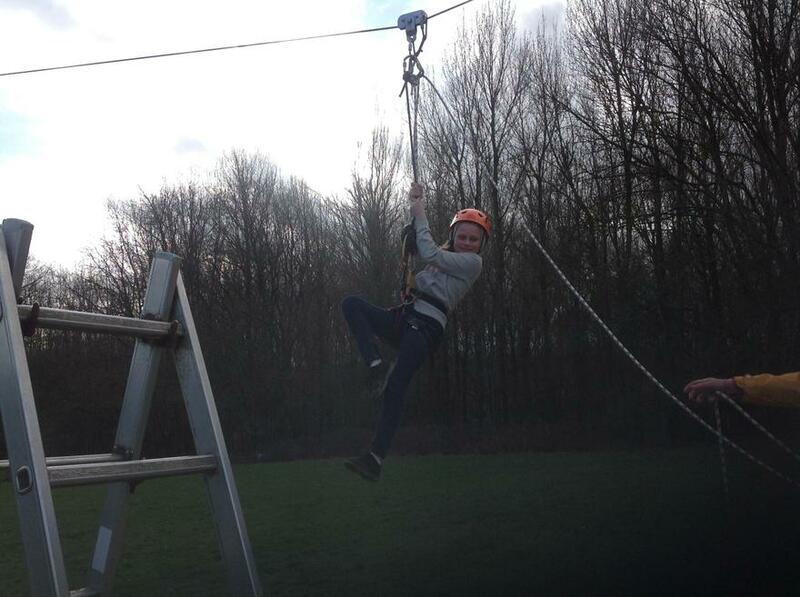 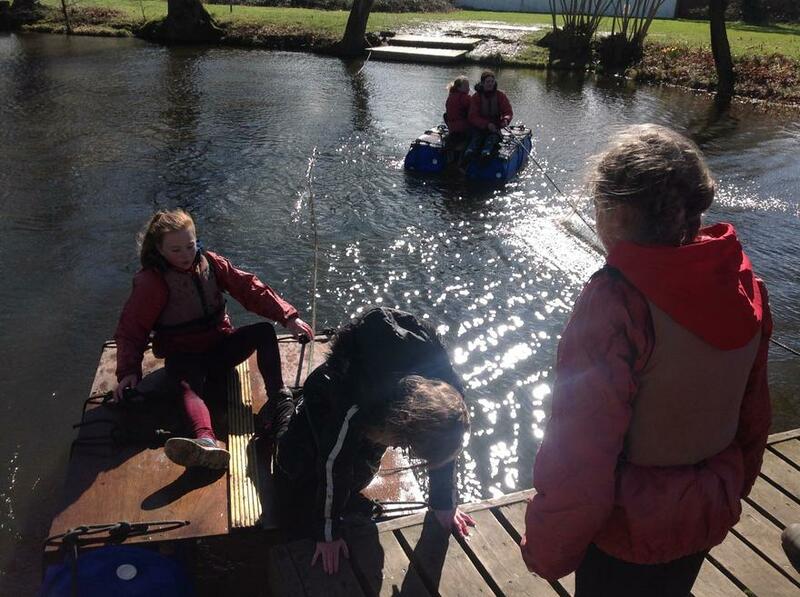 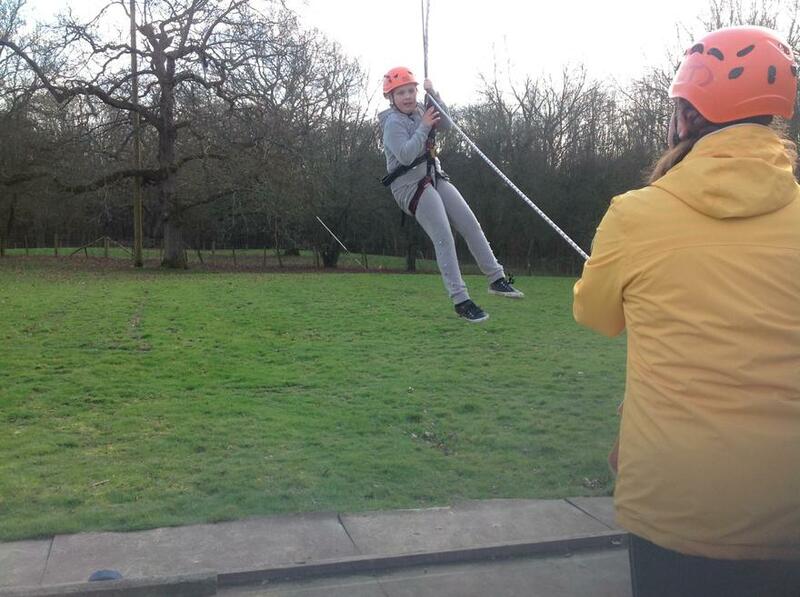 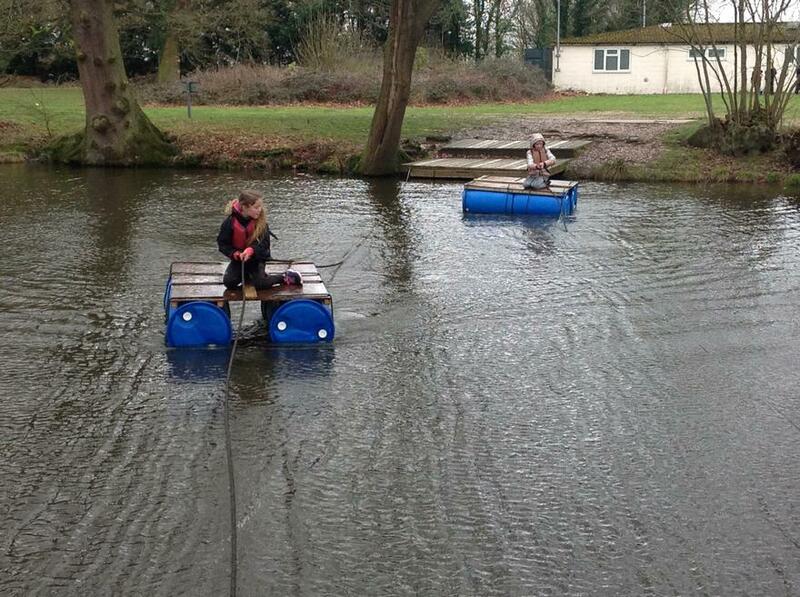 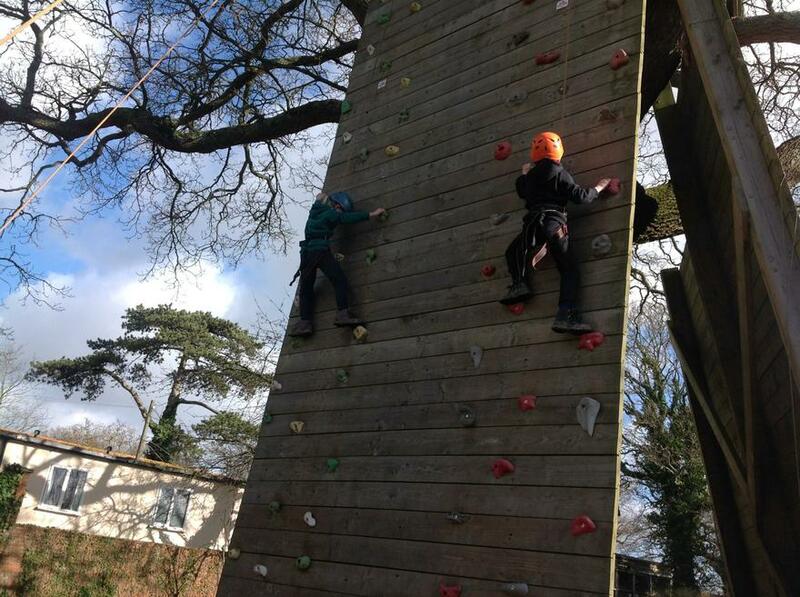 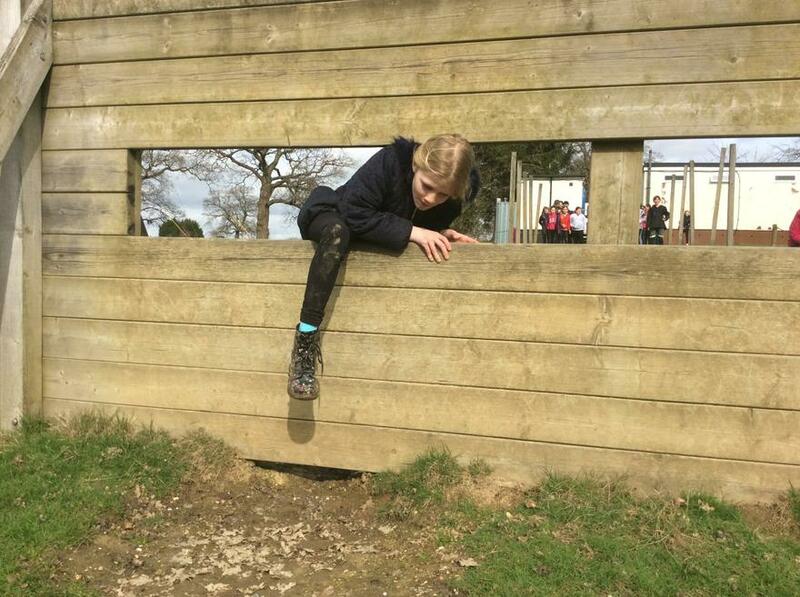 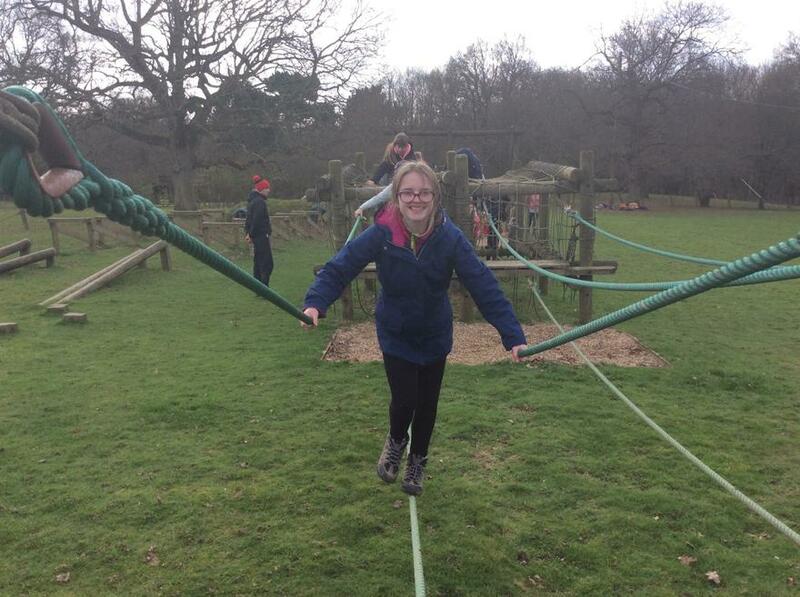 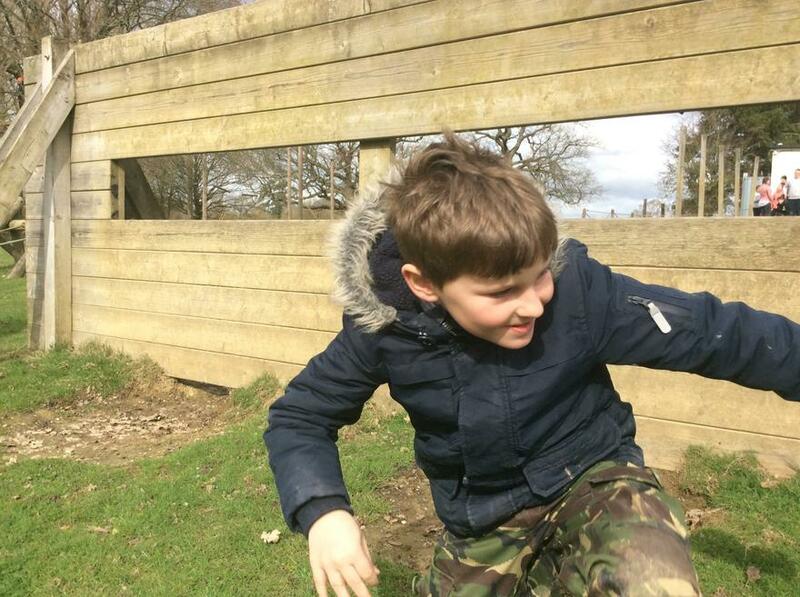 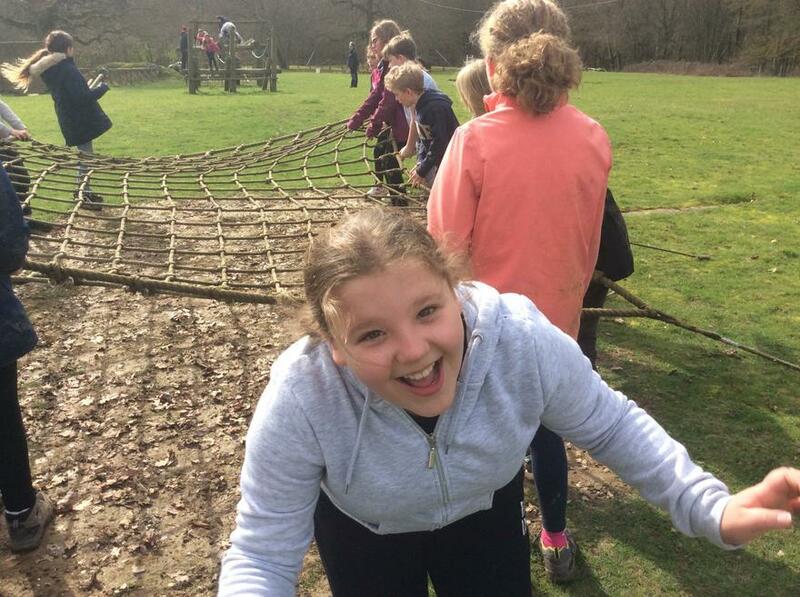 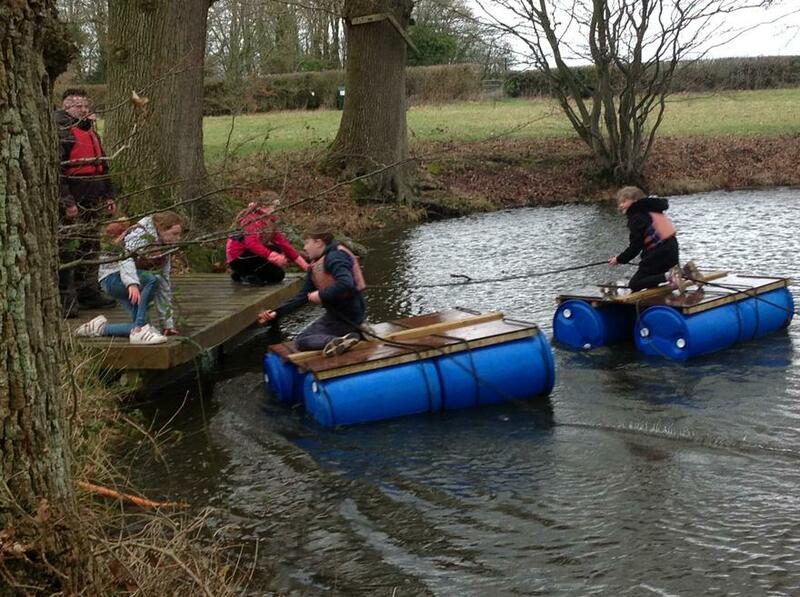 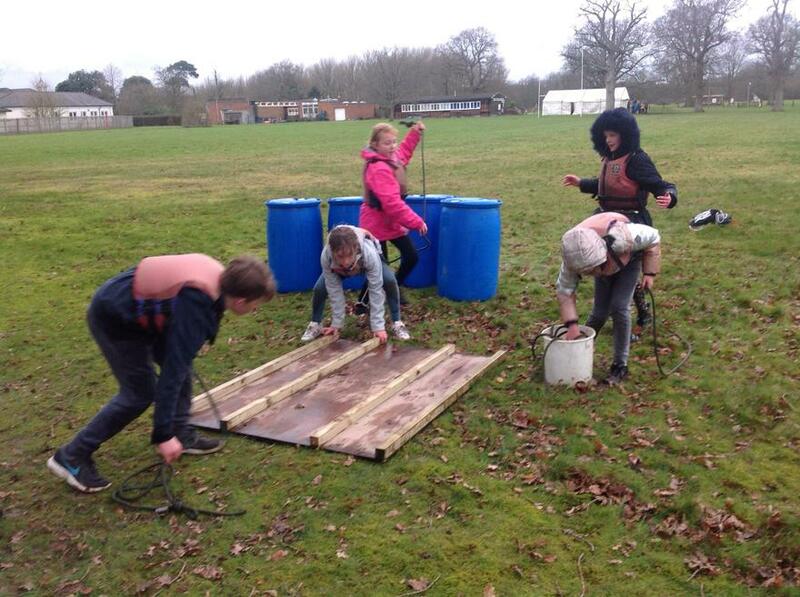 There was fun to be had at the archery, making rafts, scaling the climbing wall and completing the HAB. 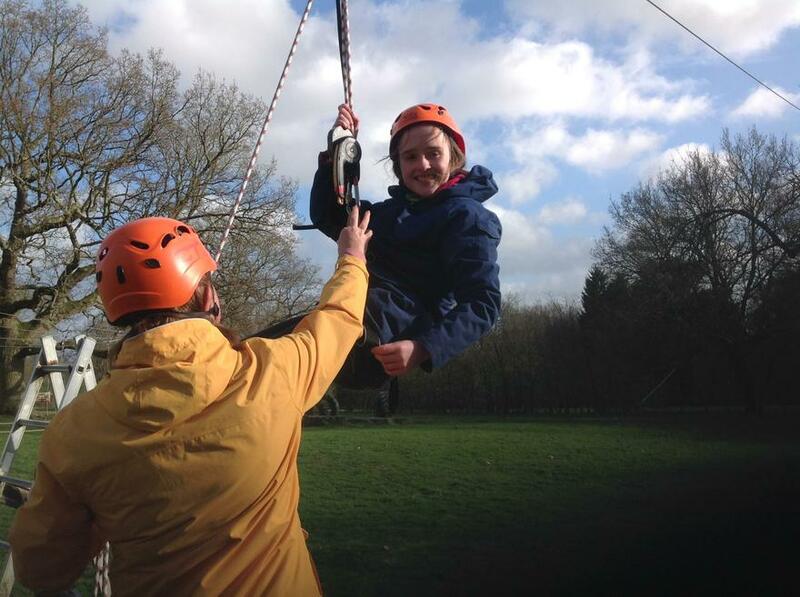 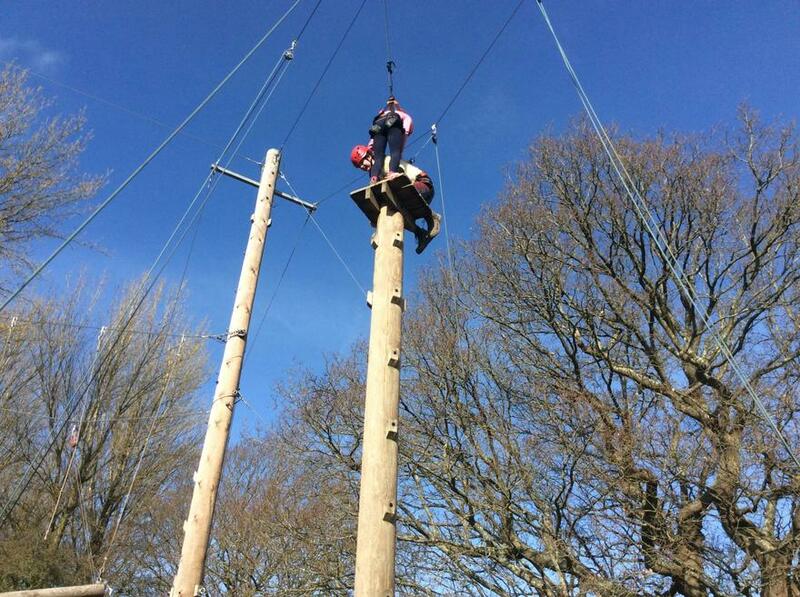 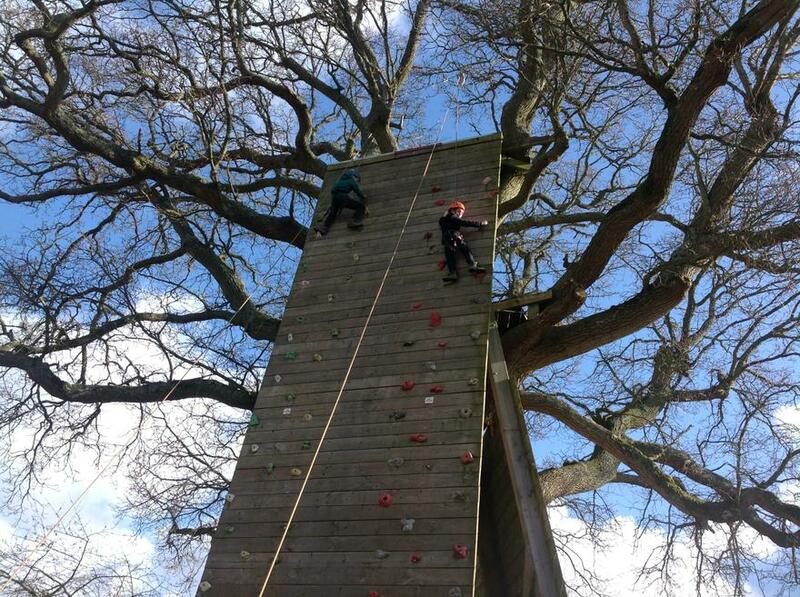 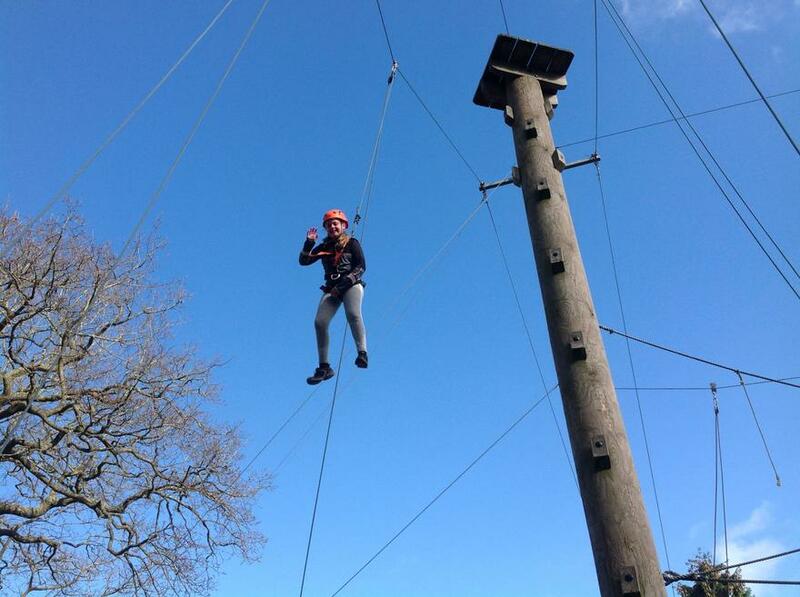 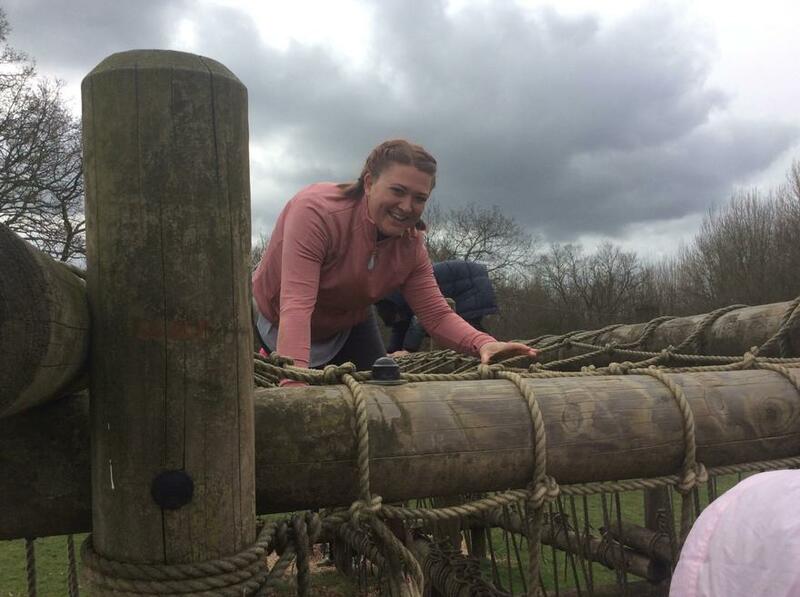 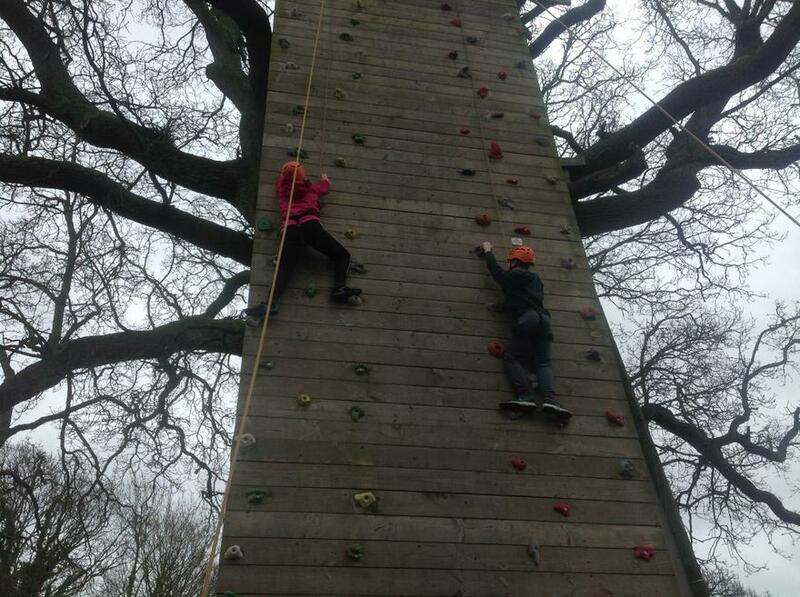 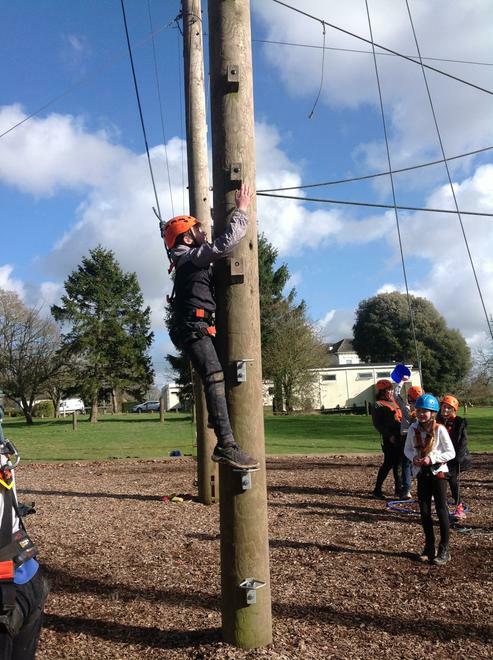 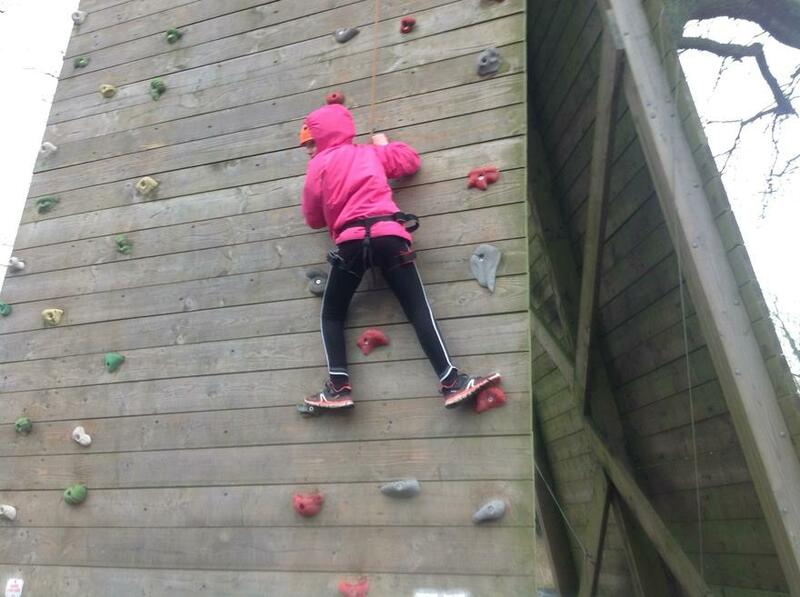 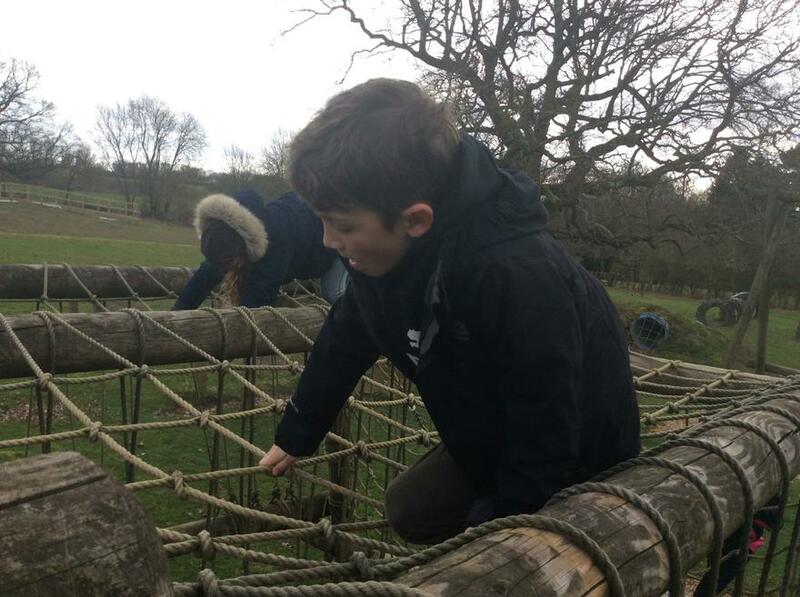 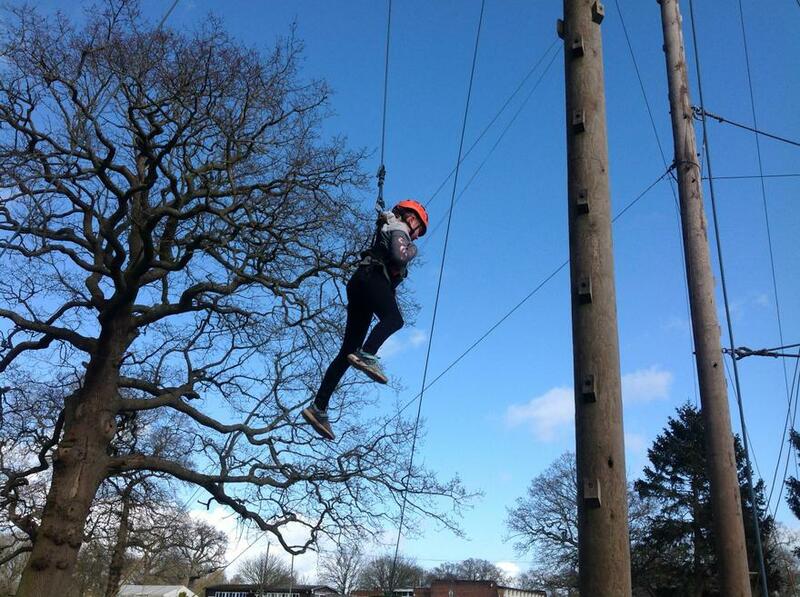 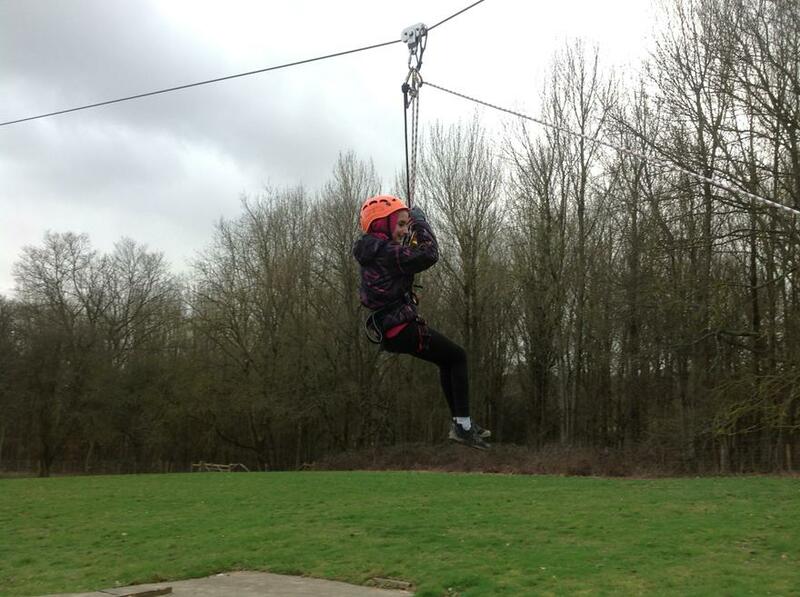 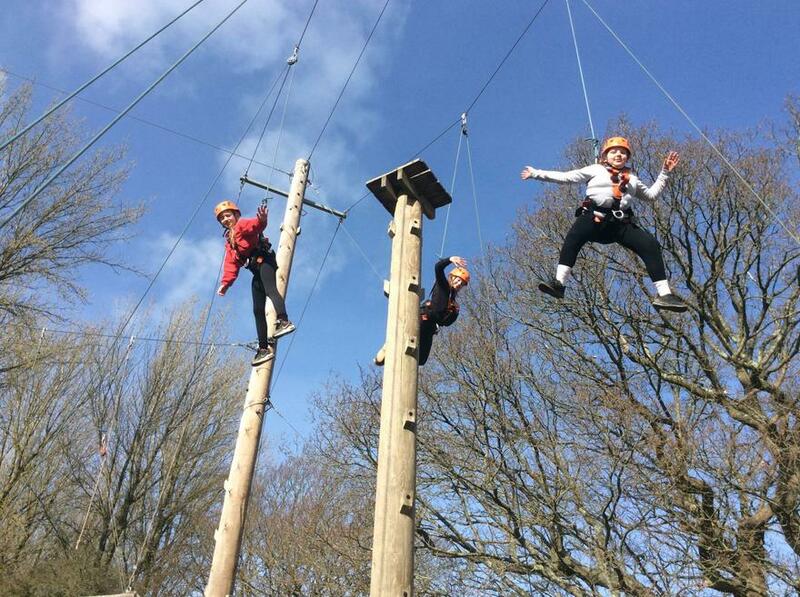 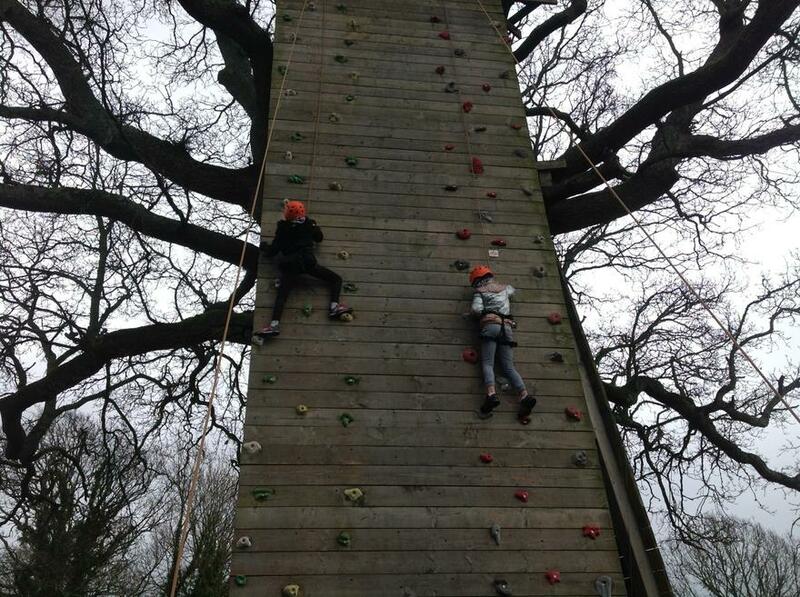 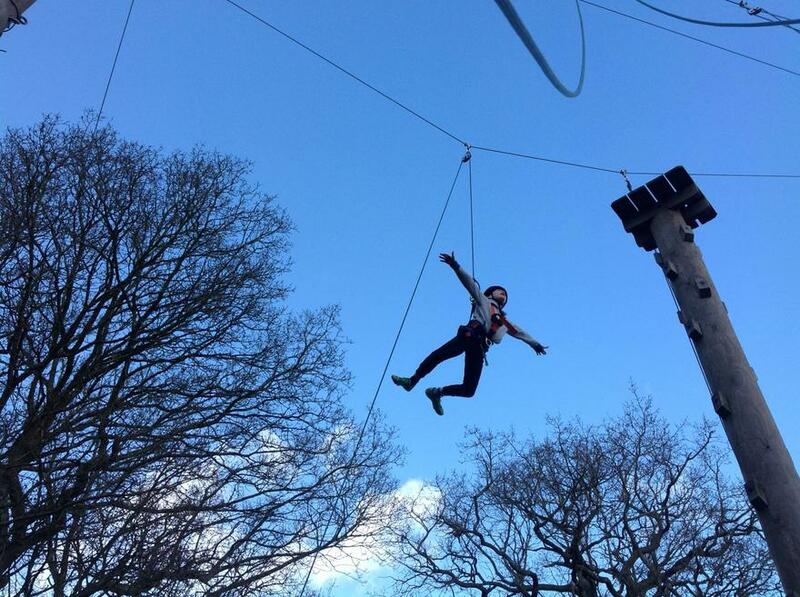 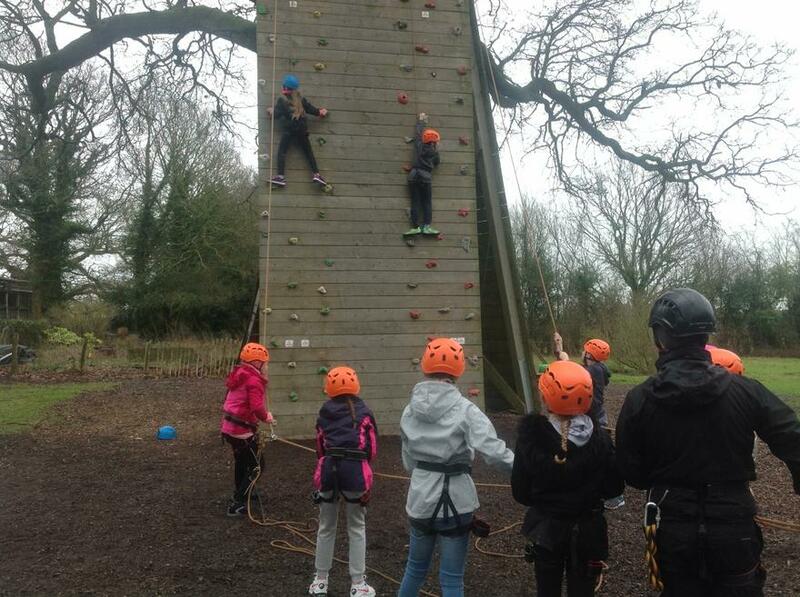 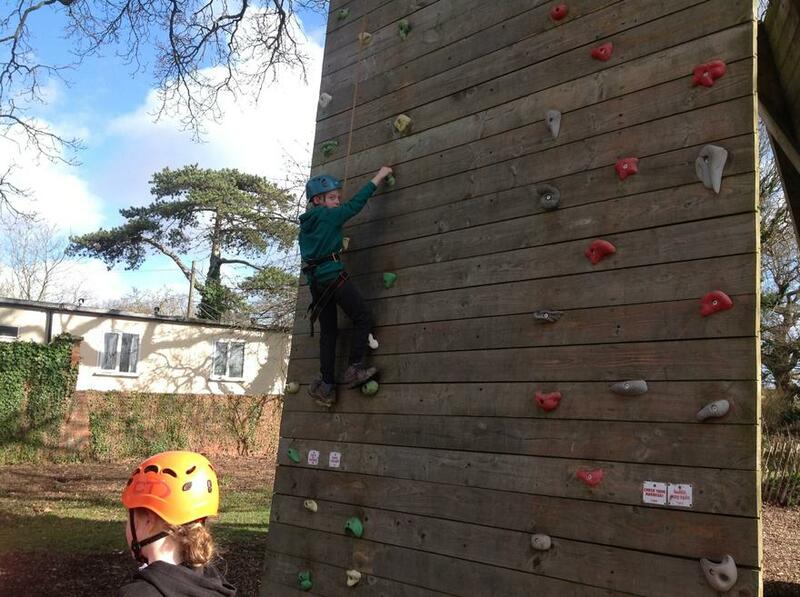 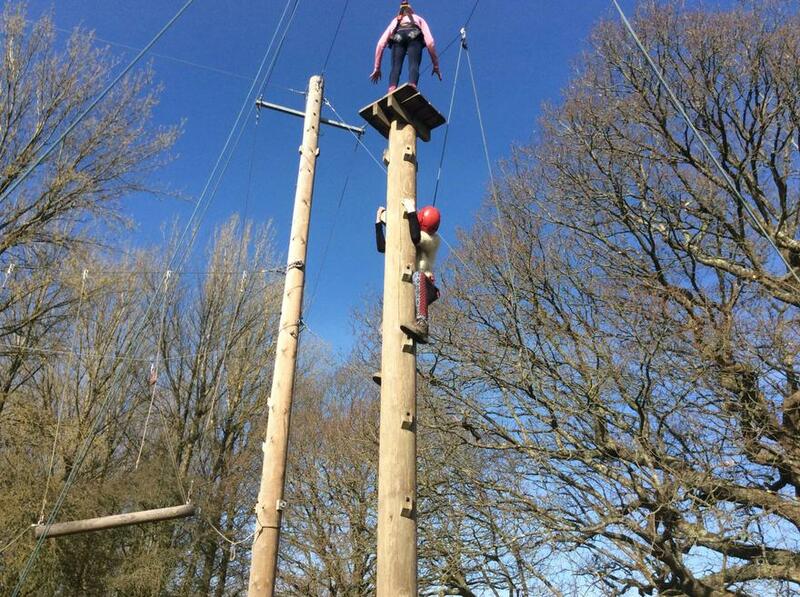 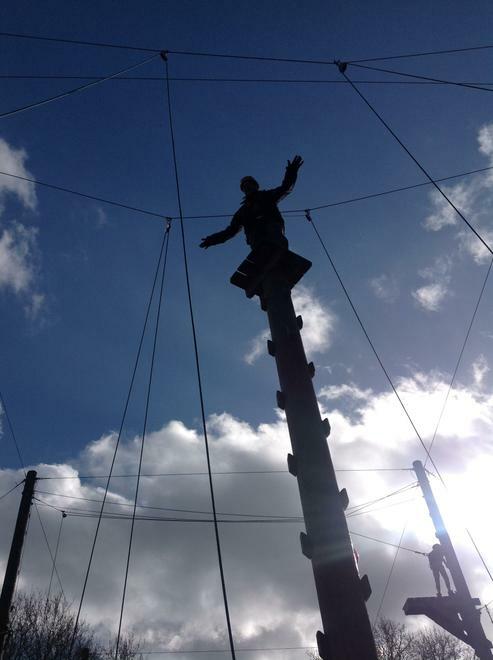 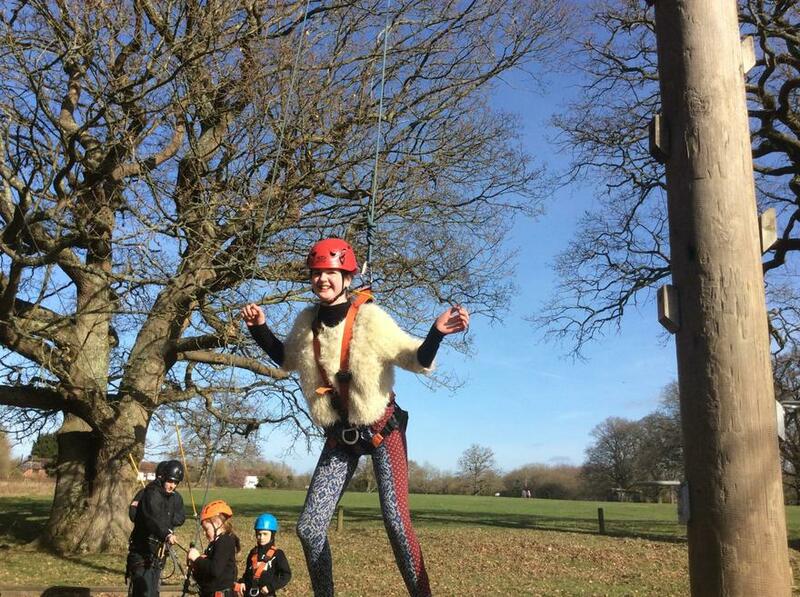 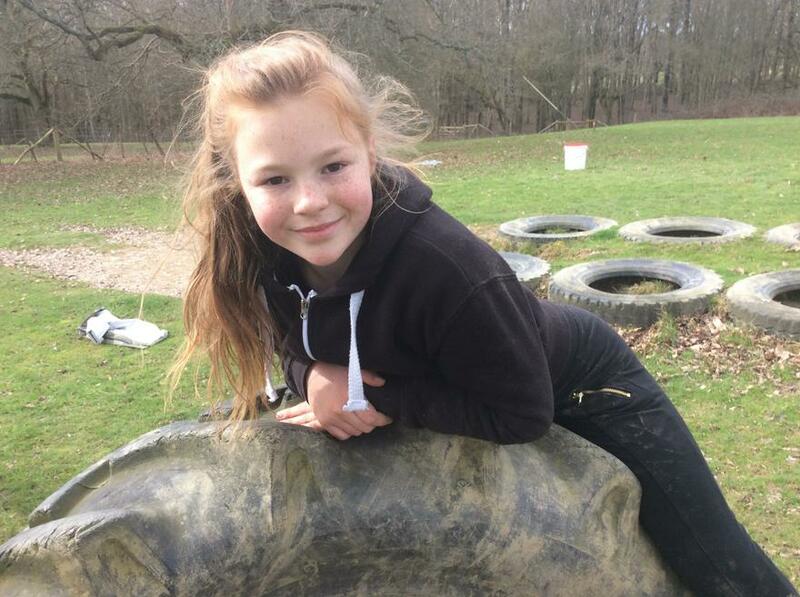 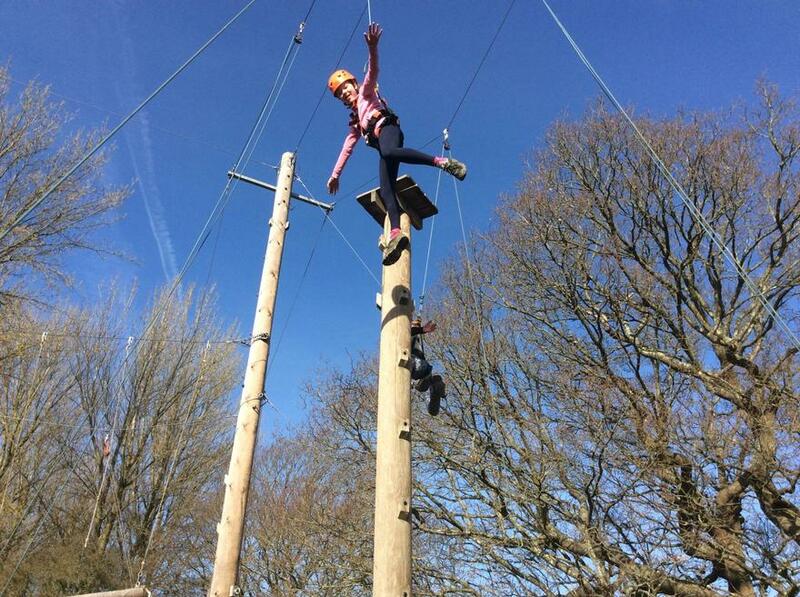 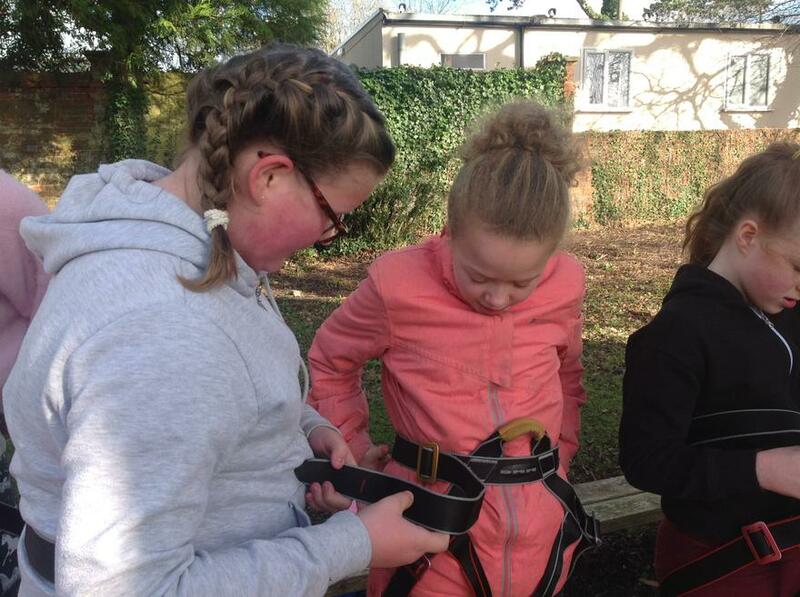 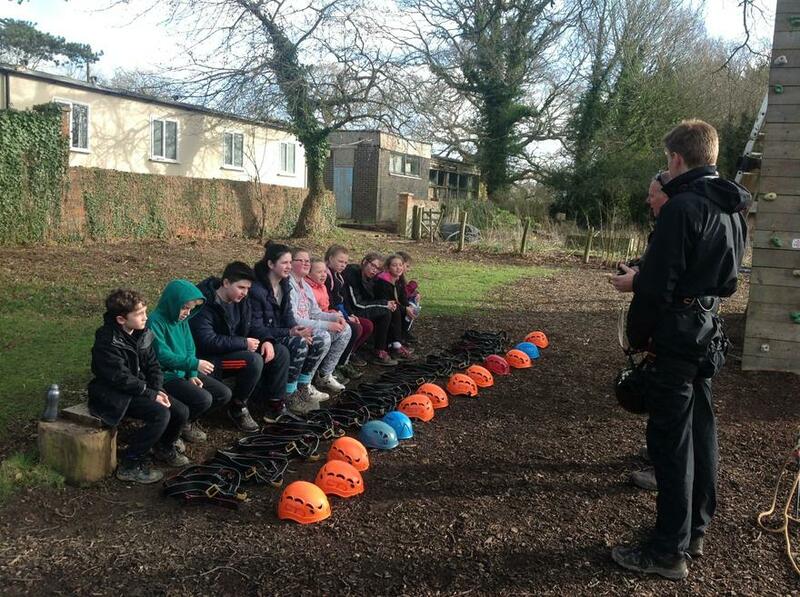 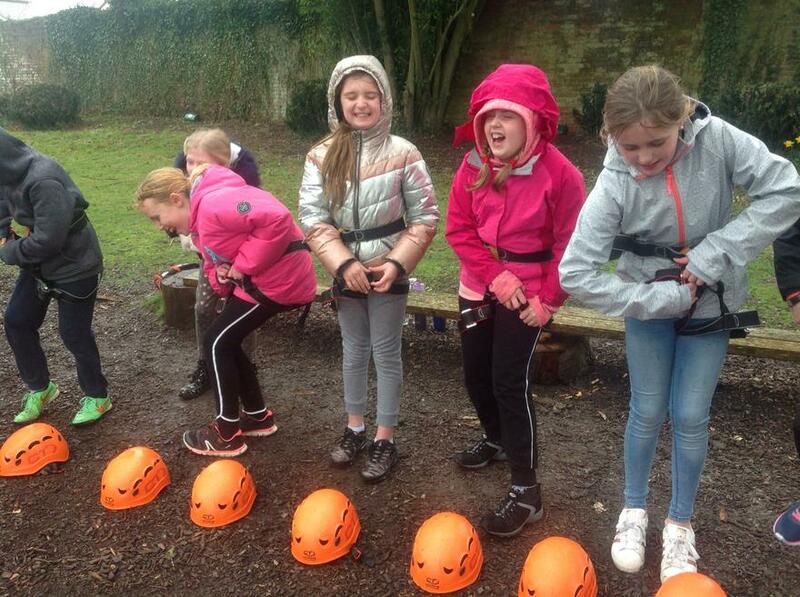 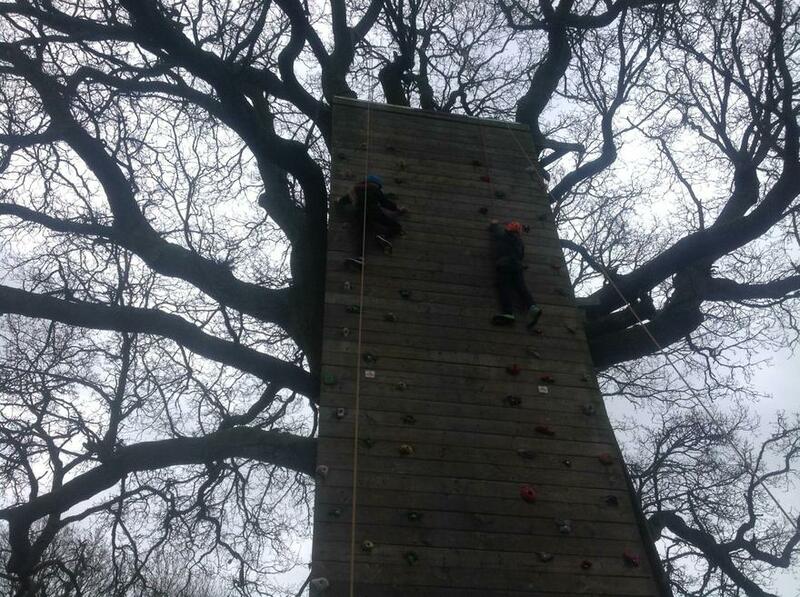 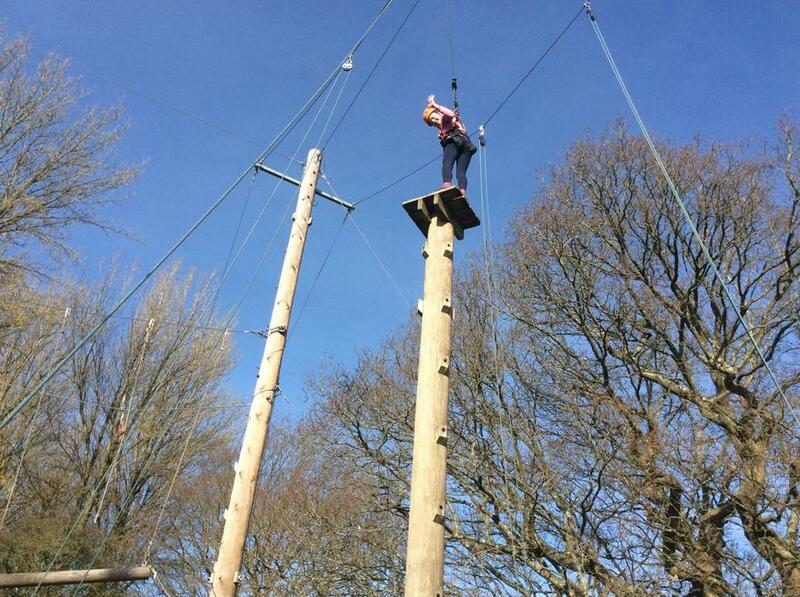 The children all braved the activities and most came away having climbed higher or doing more than they thought they would but all with smiles on their faces. 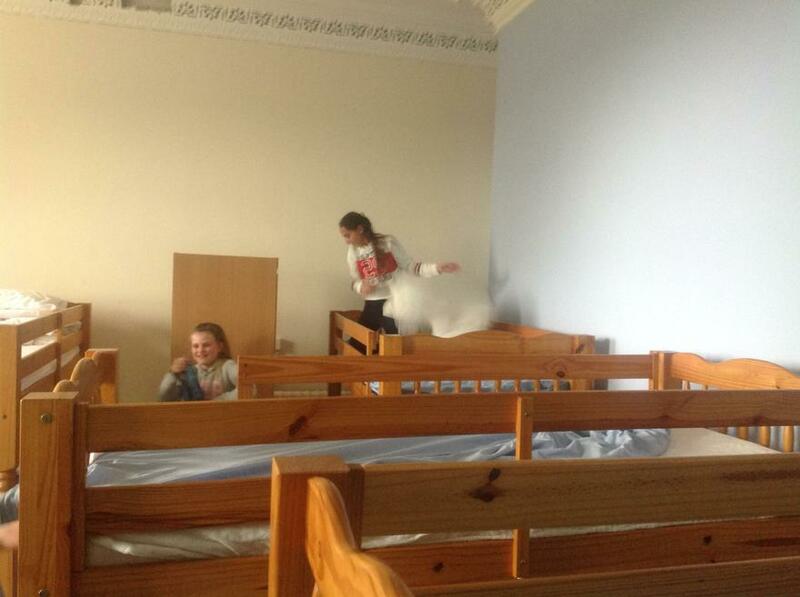 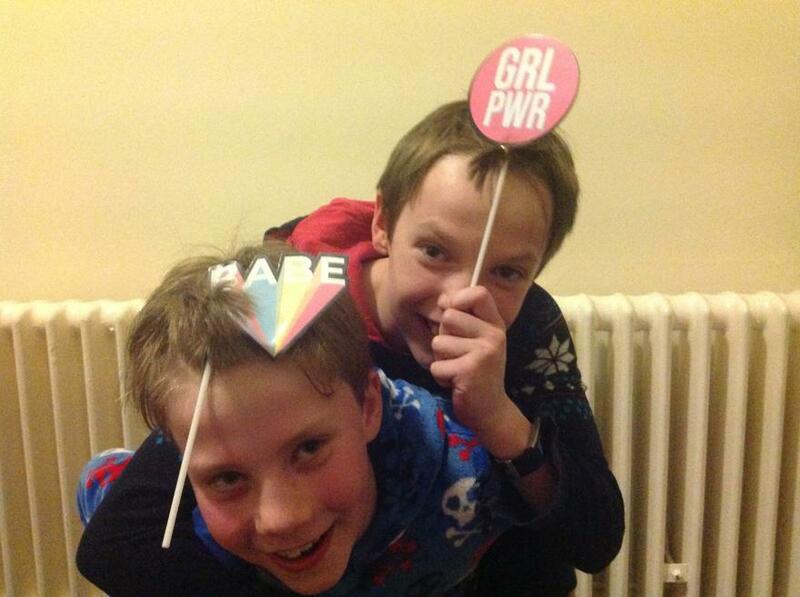 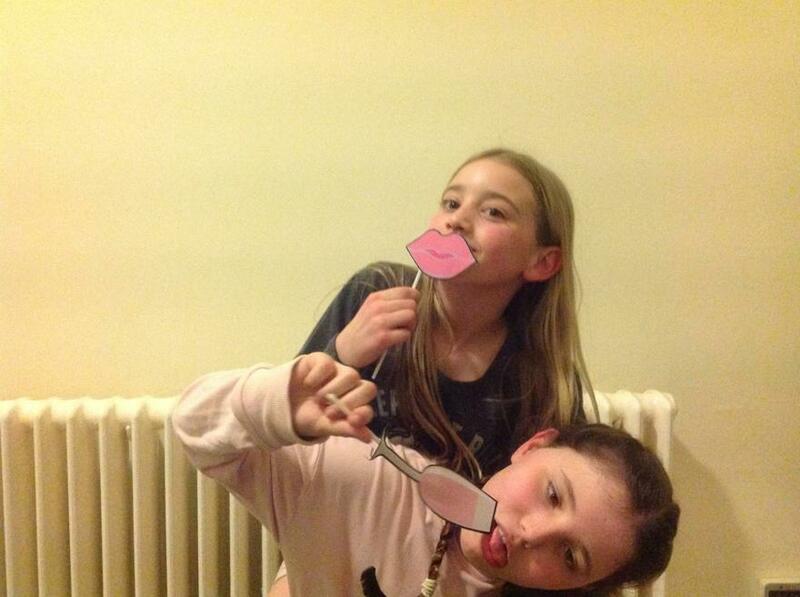 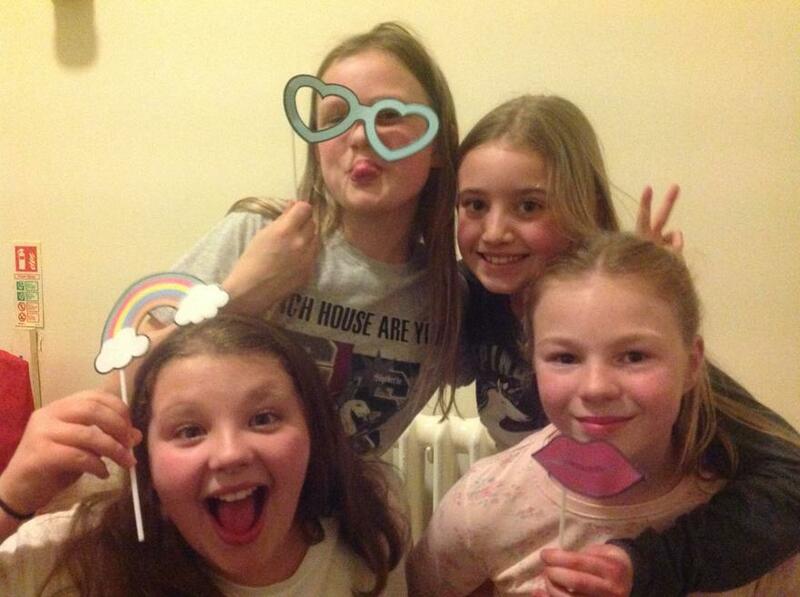 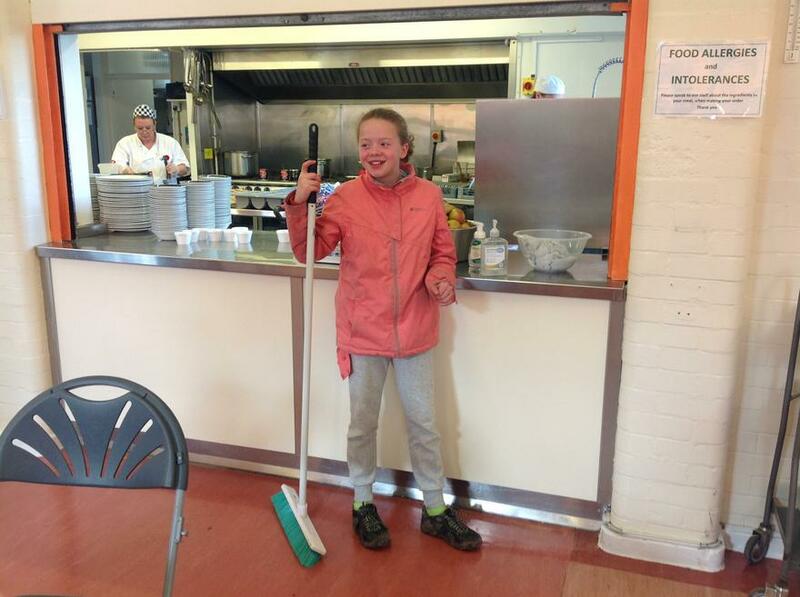 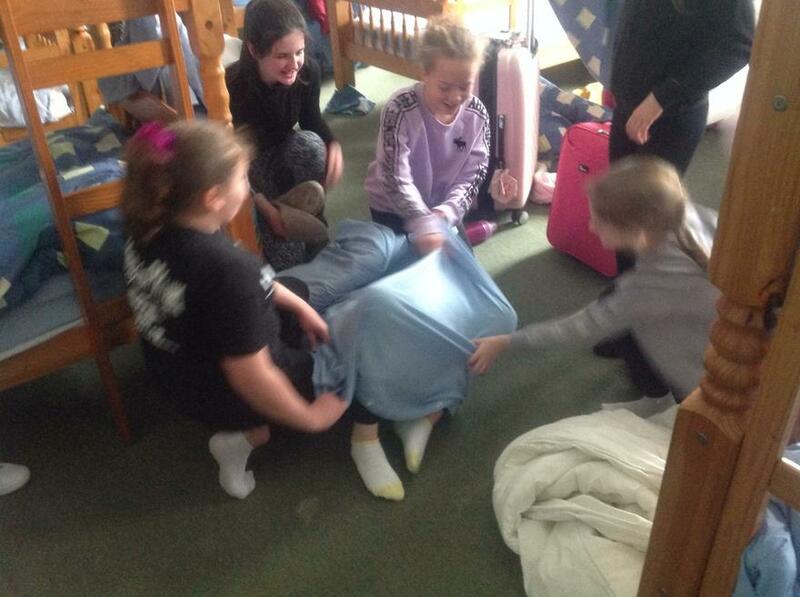 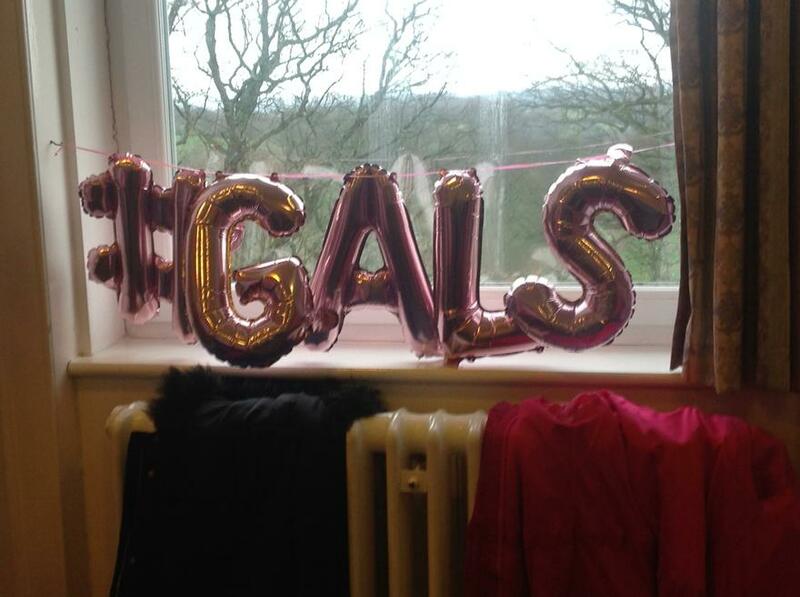 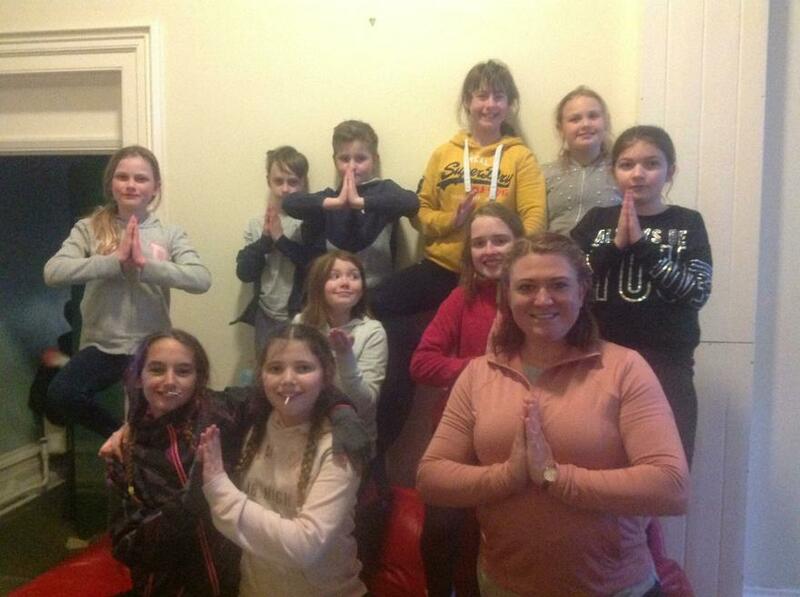 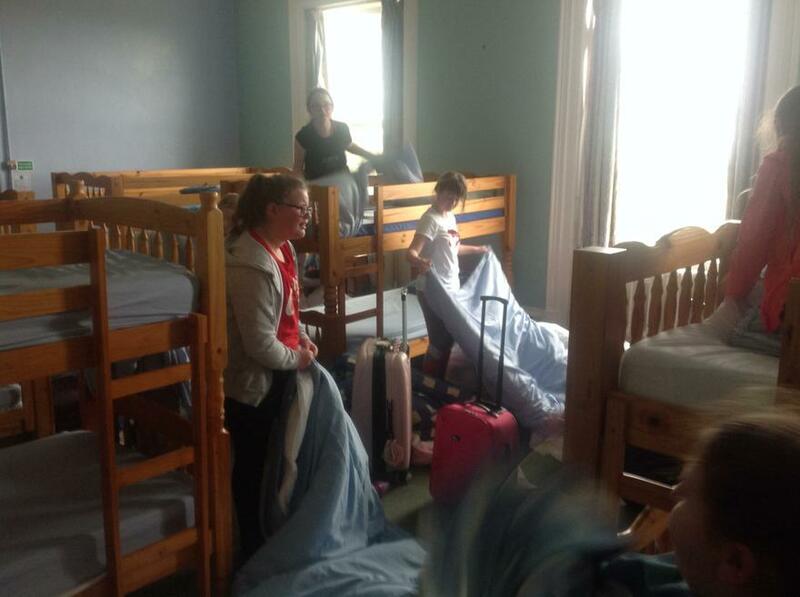 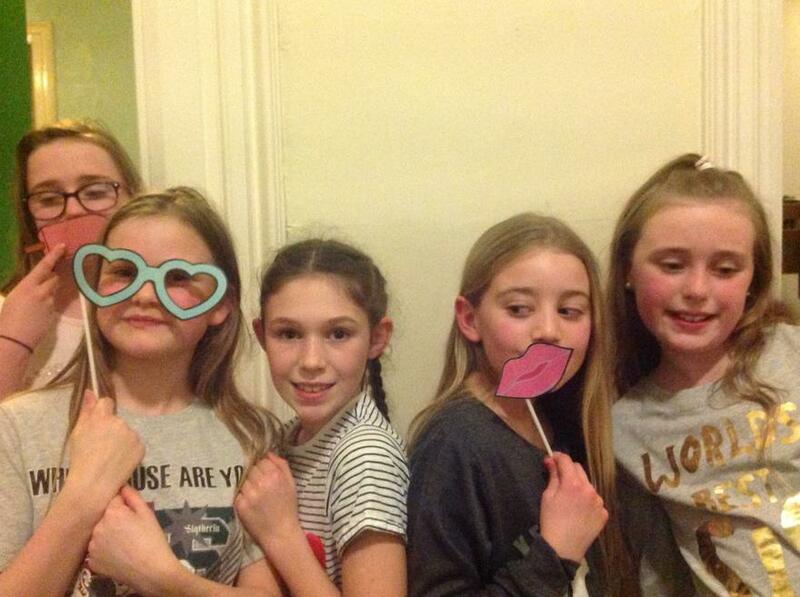 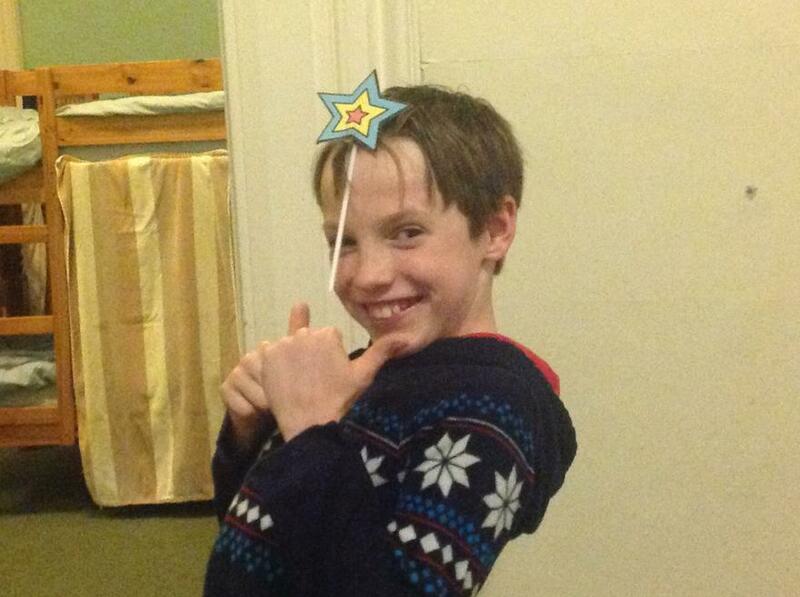 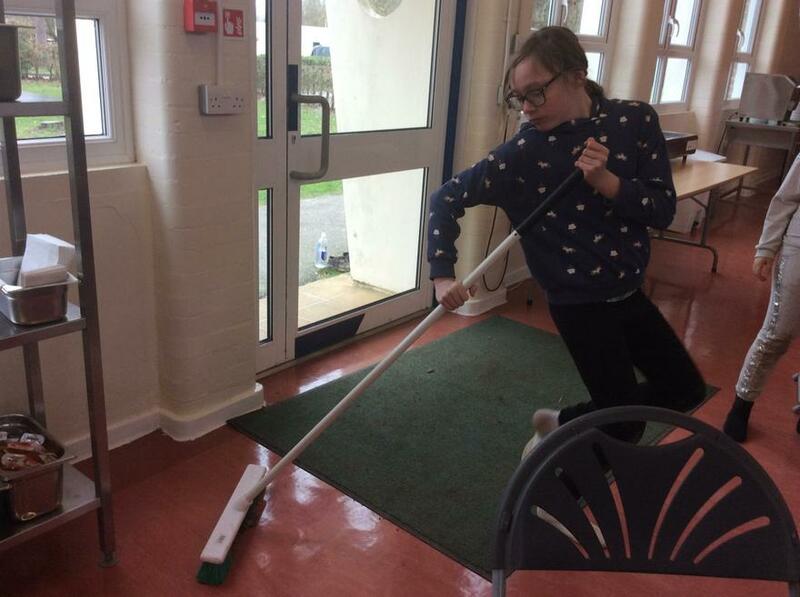 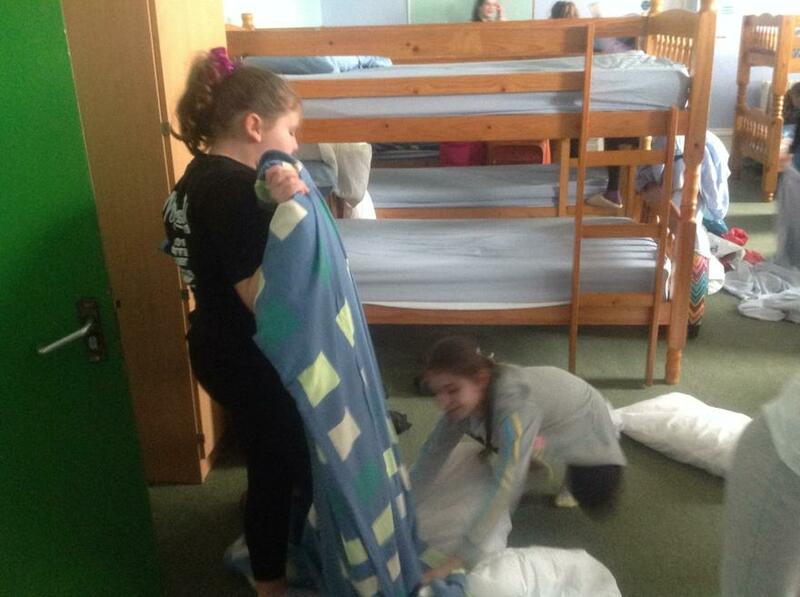 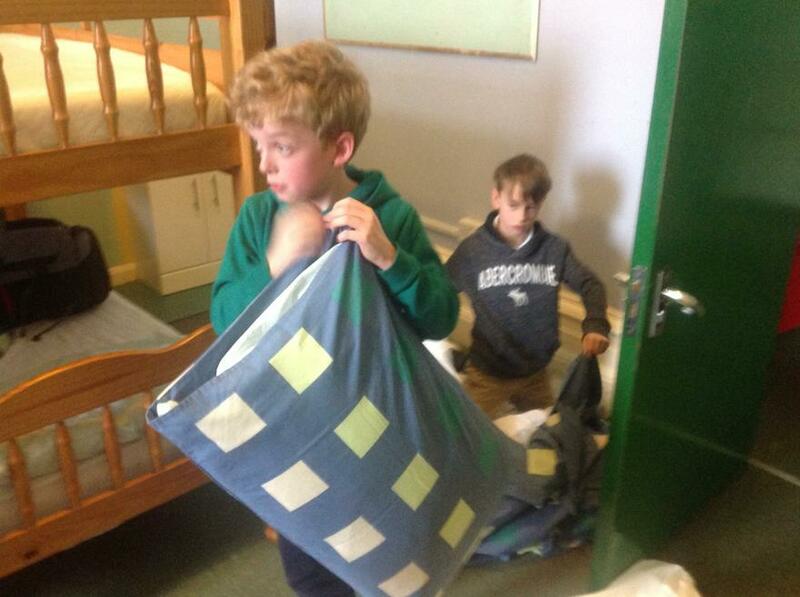 The children entertained themselves with Dobble, photosticks, hair dressing and even hide and seek within their dormitories! 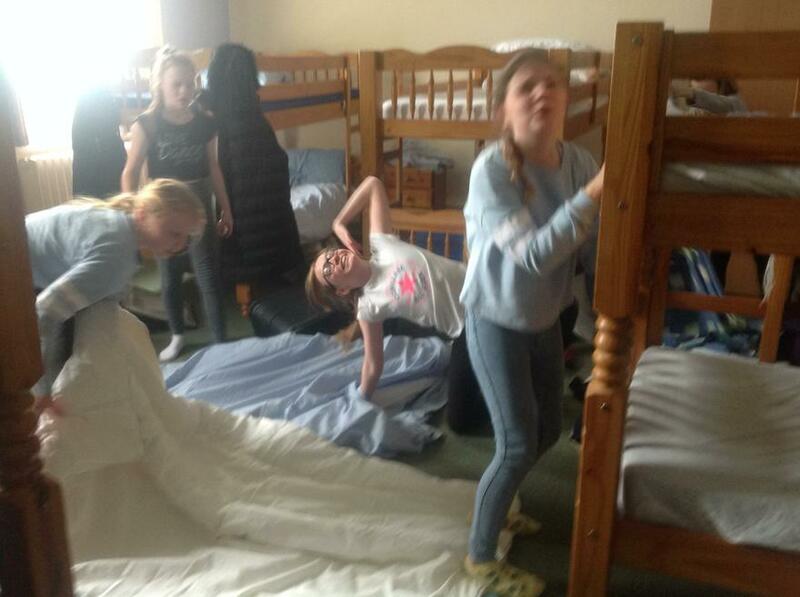 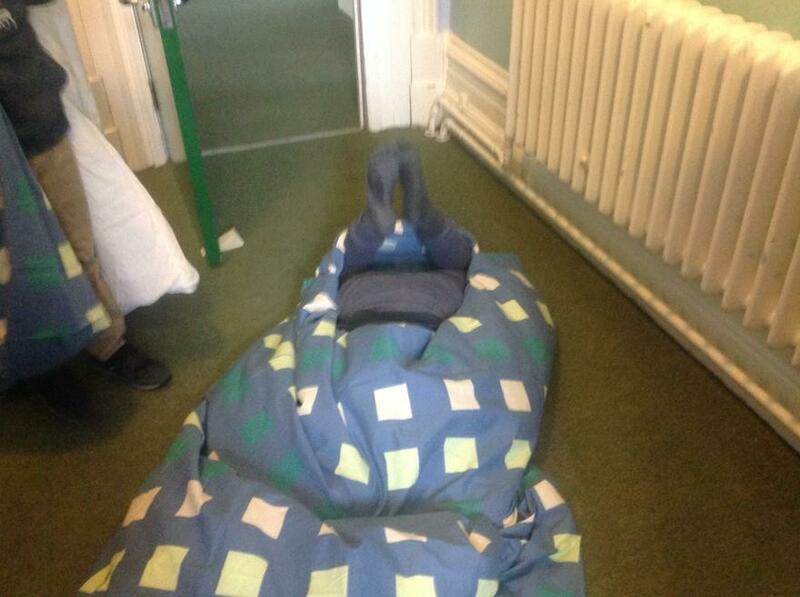 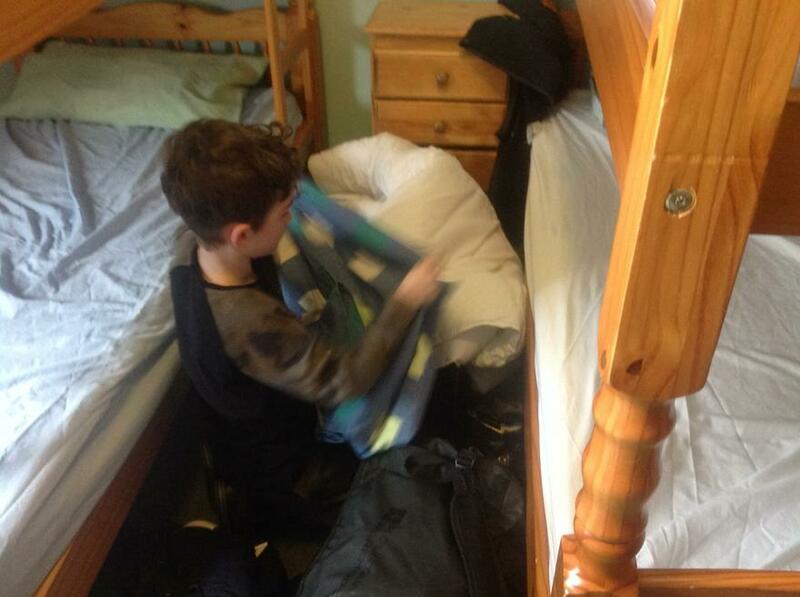 Which meant we could save the games room until the second night. 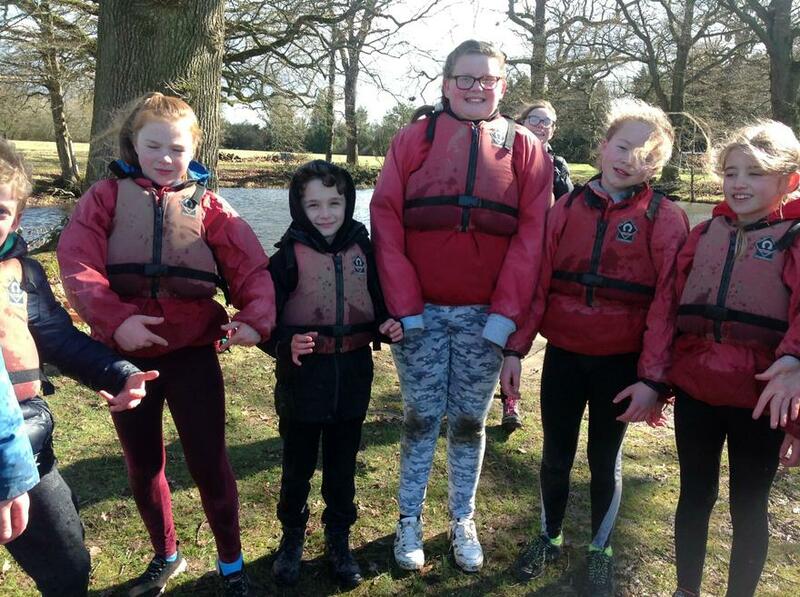 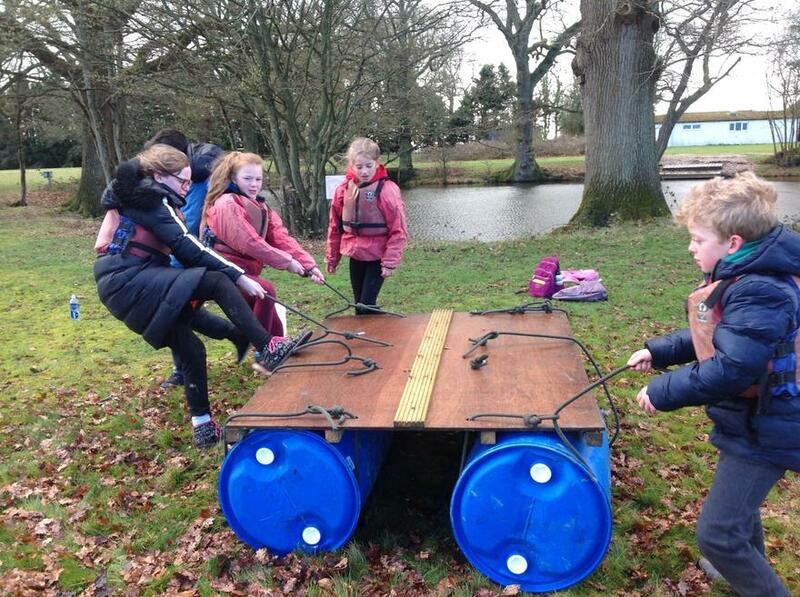 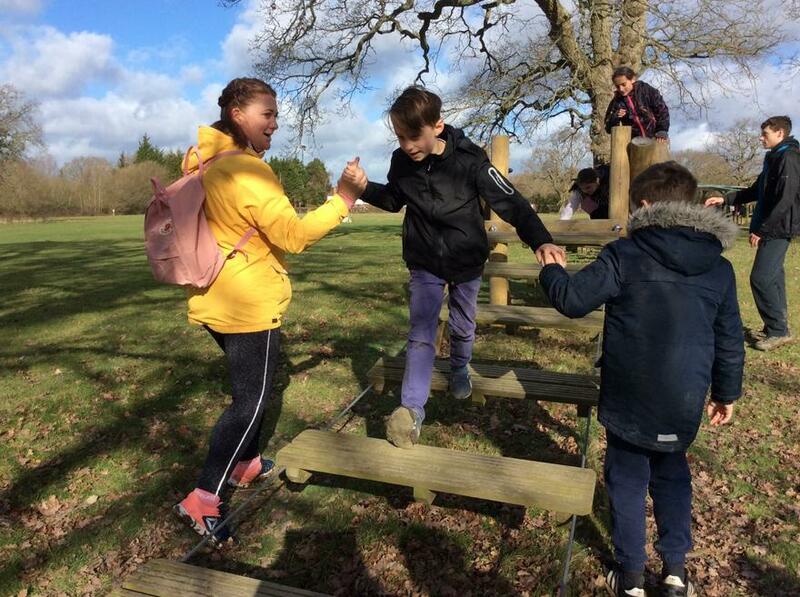 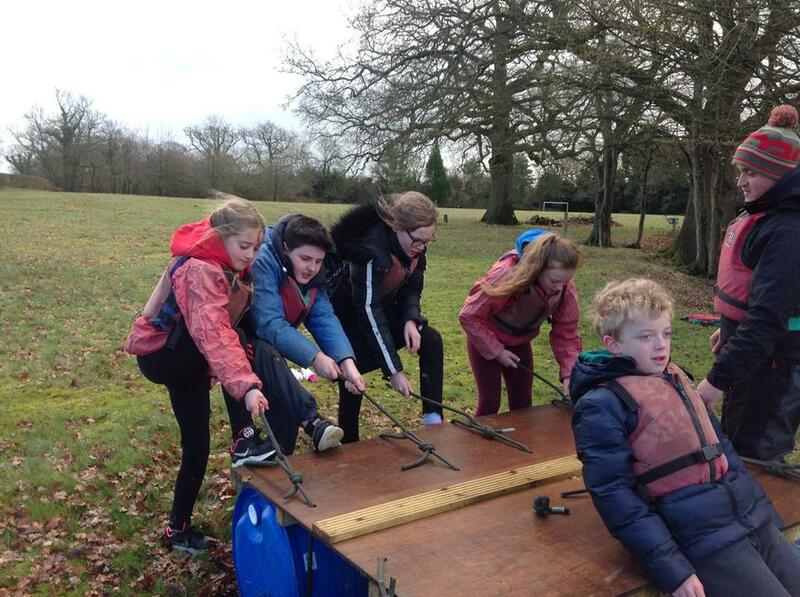 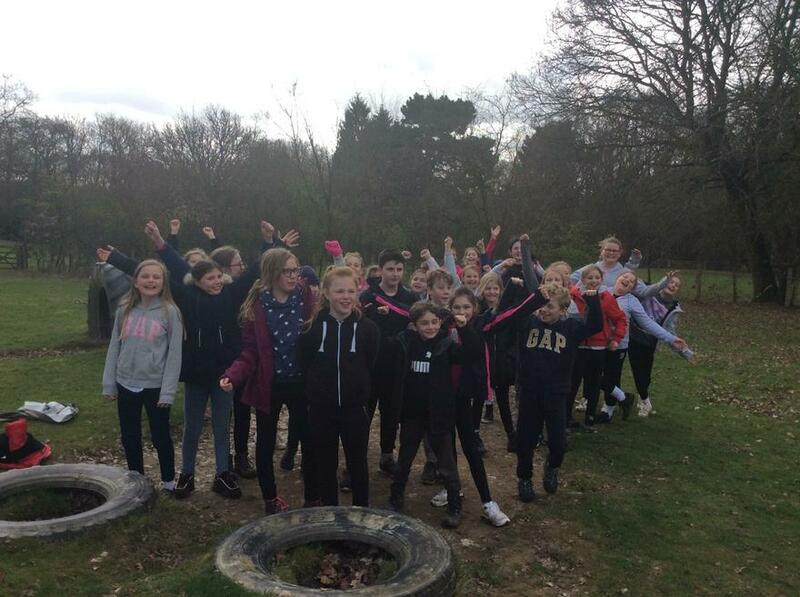 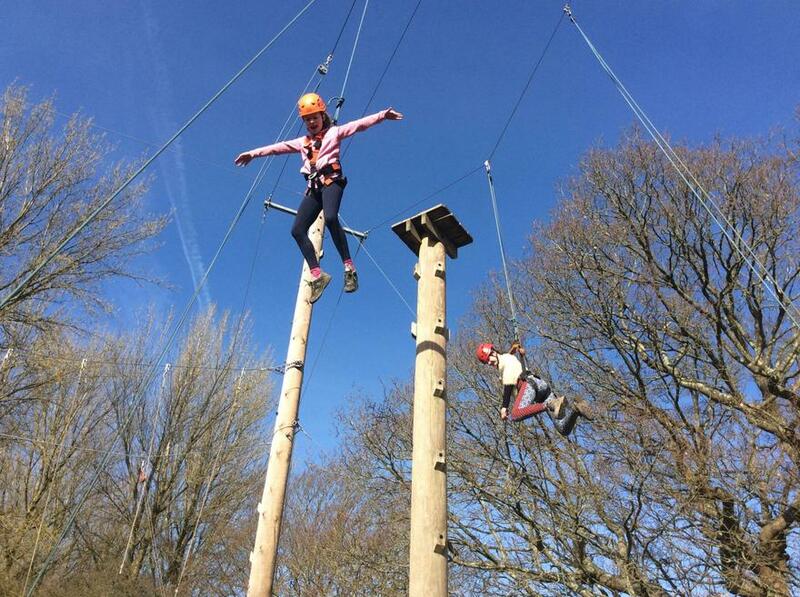 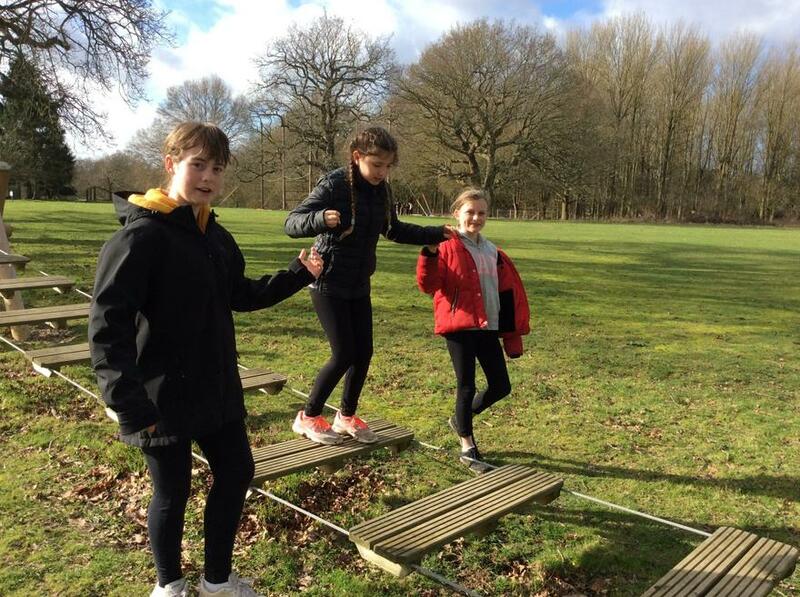 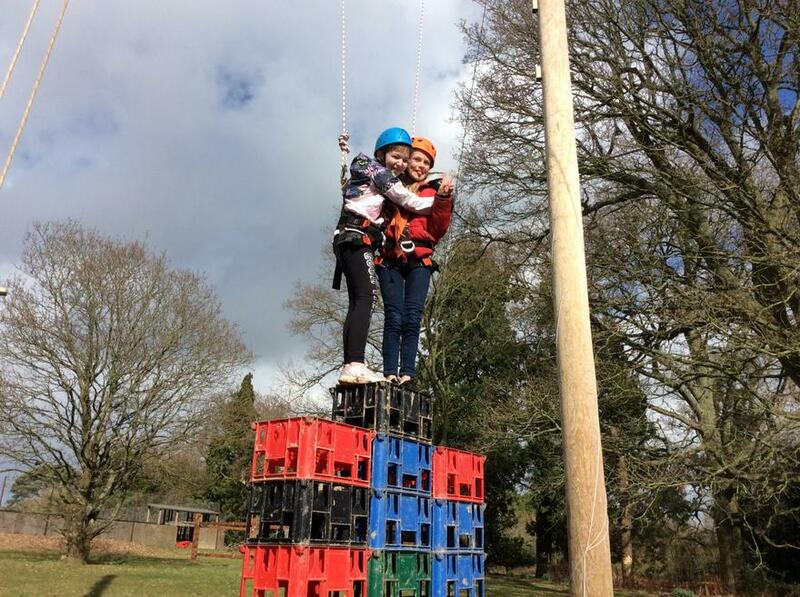 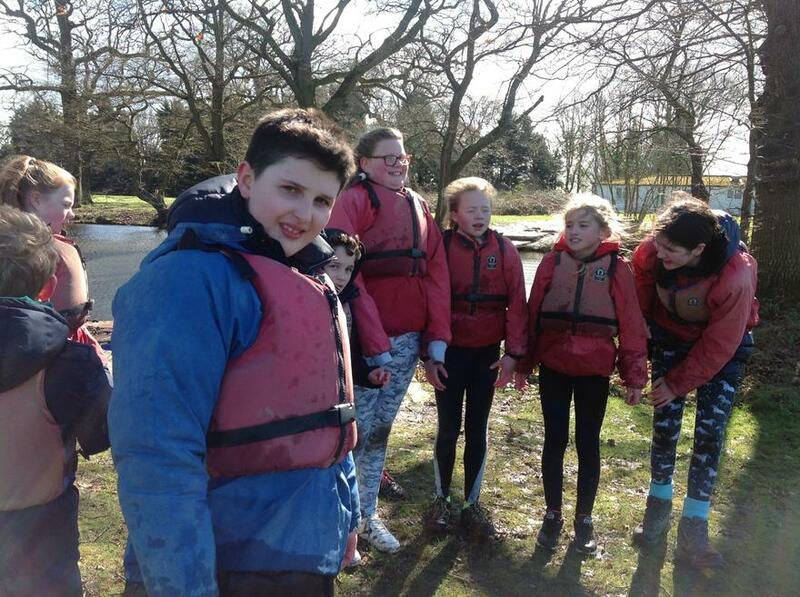 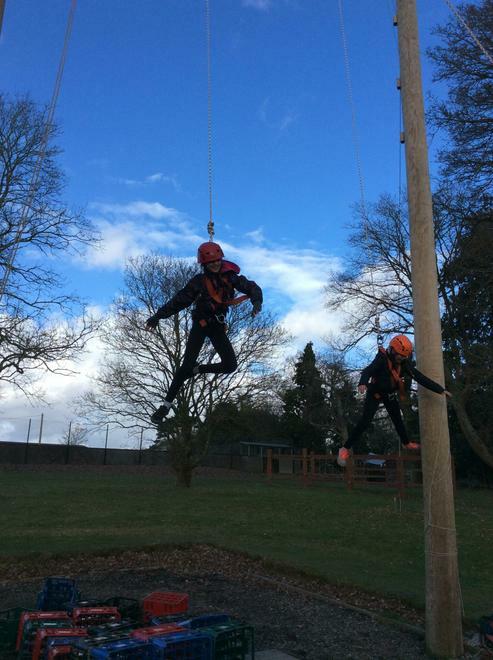 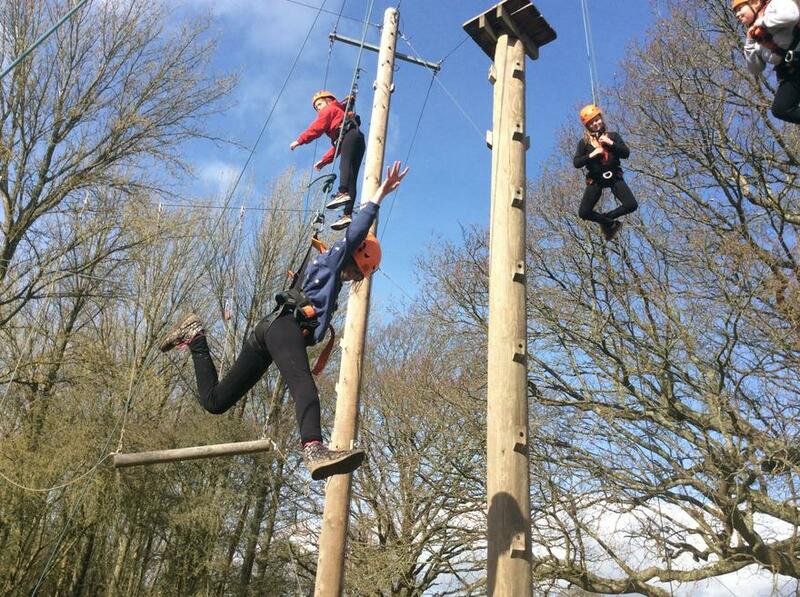 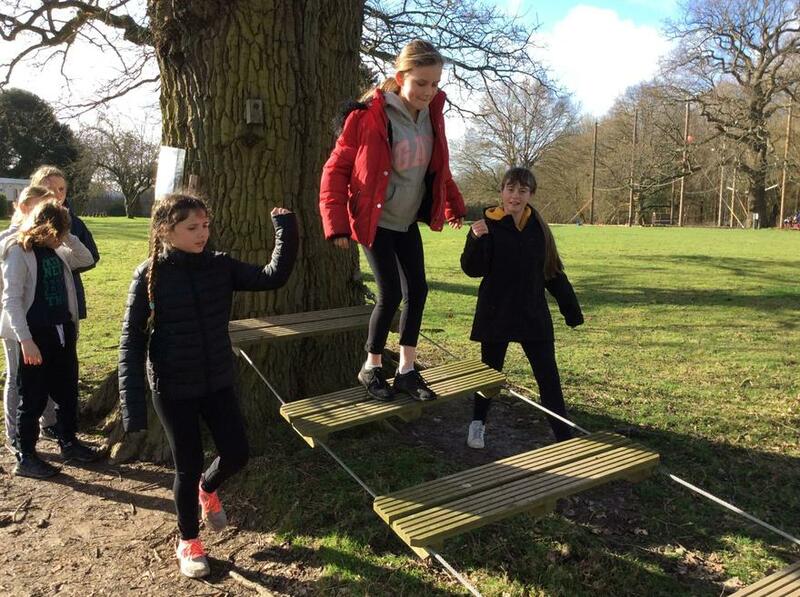 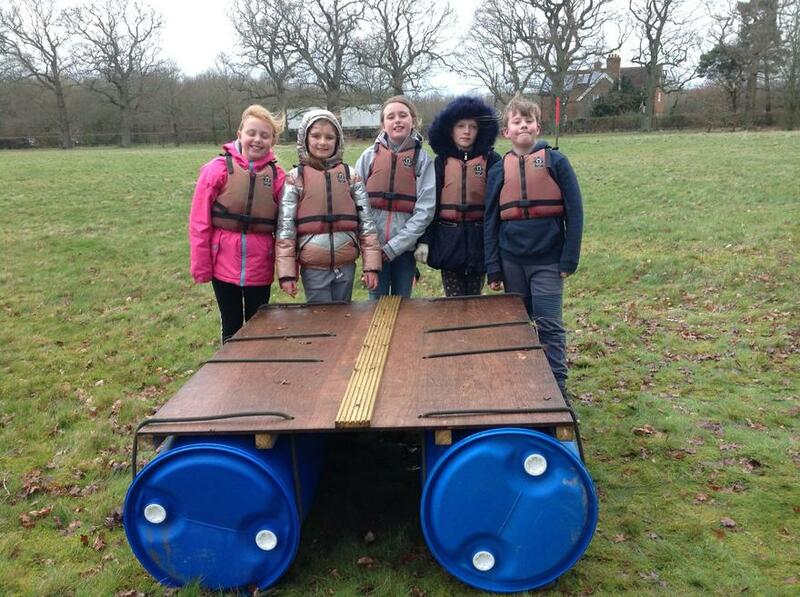 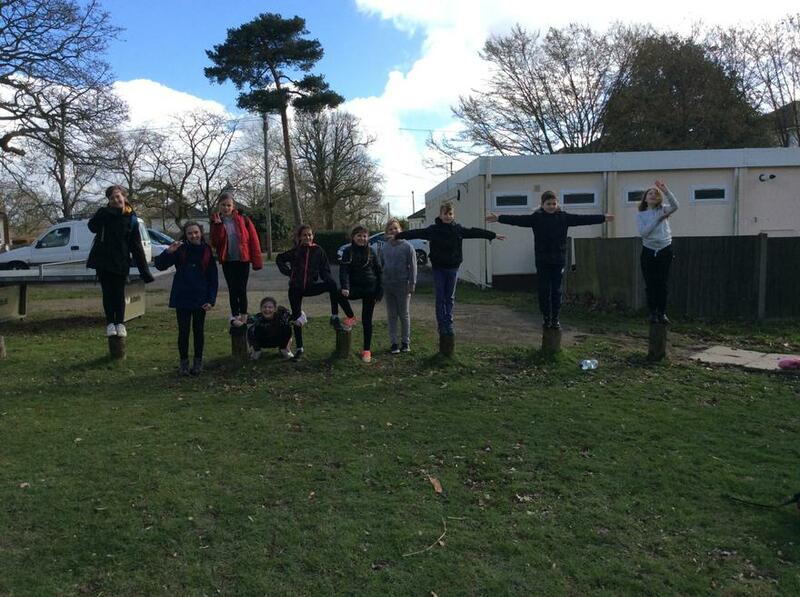 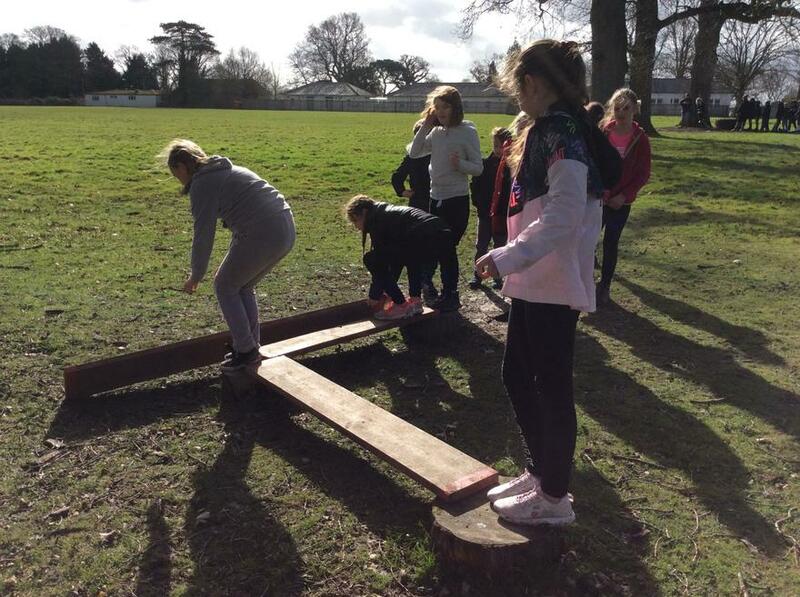 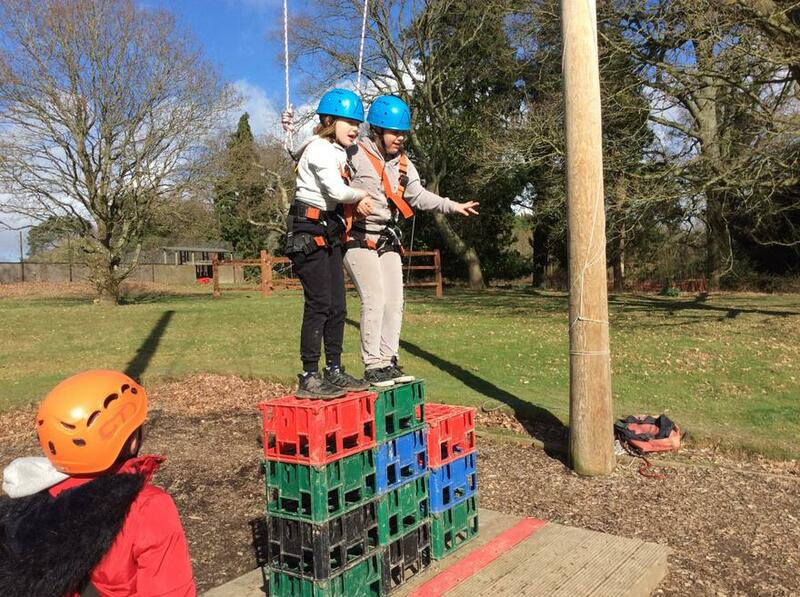 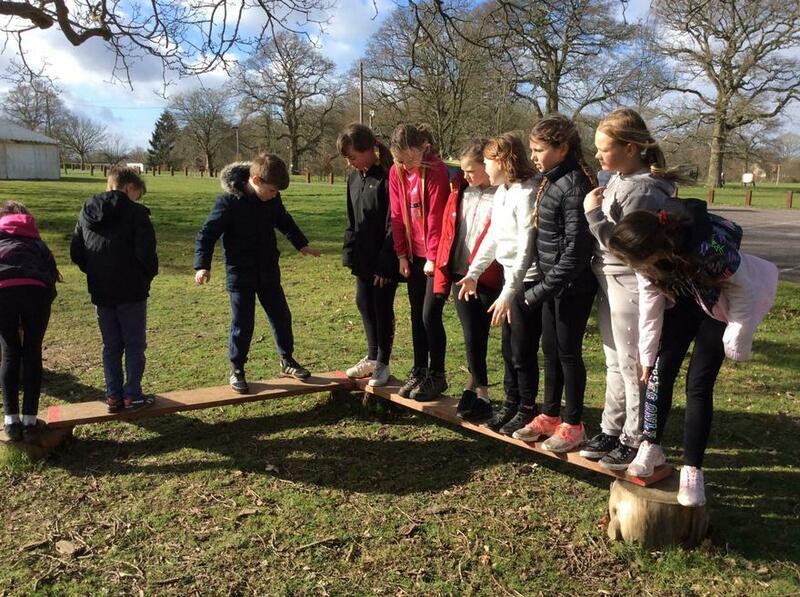 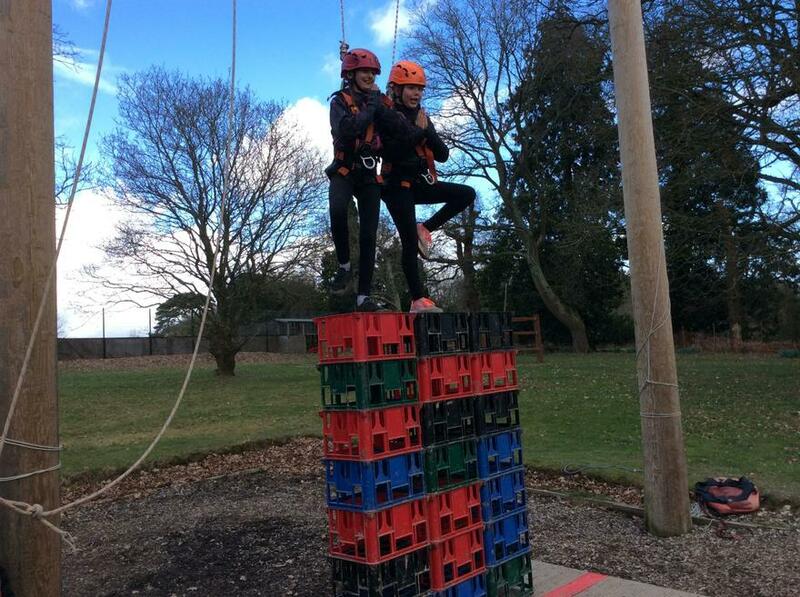 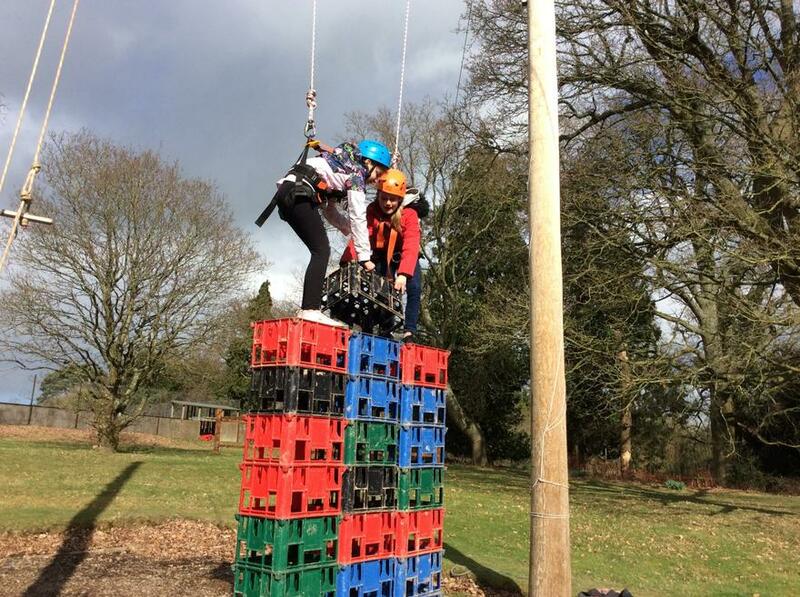 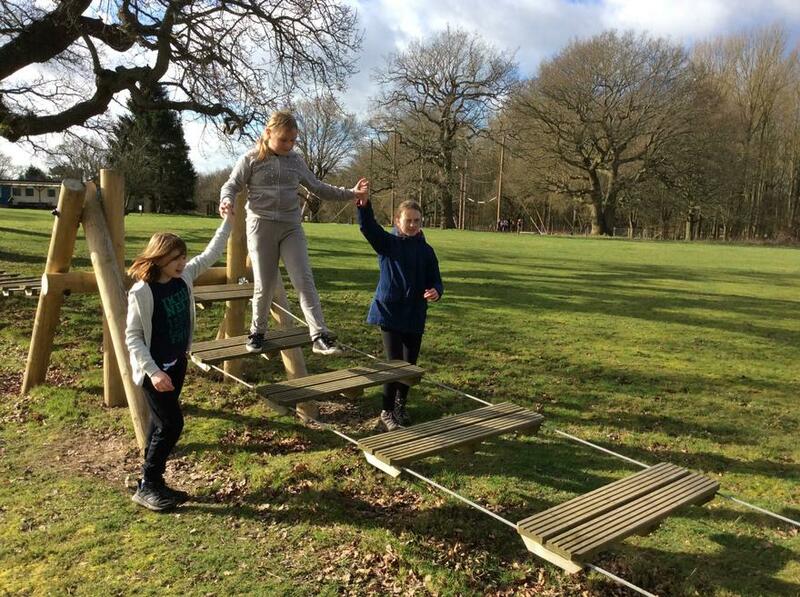 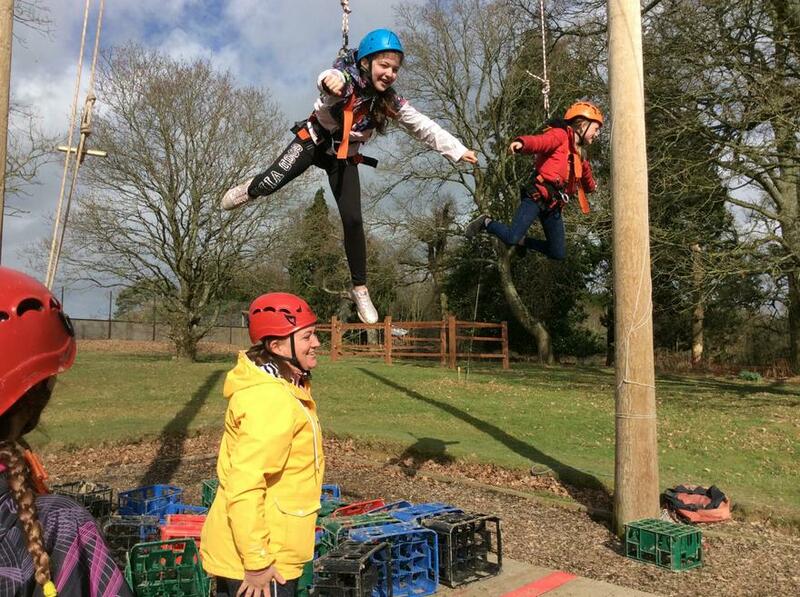 The children had great fun on day two, with activities including Z Line, Bridge balancing and island team work building, the HAB (High All Aboard), Crate Stack, Climbing Wall and Rafting. 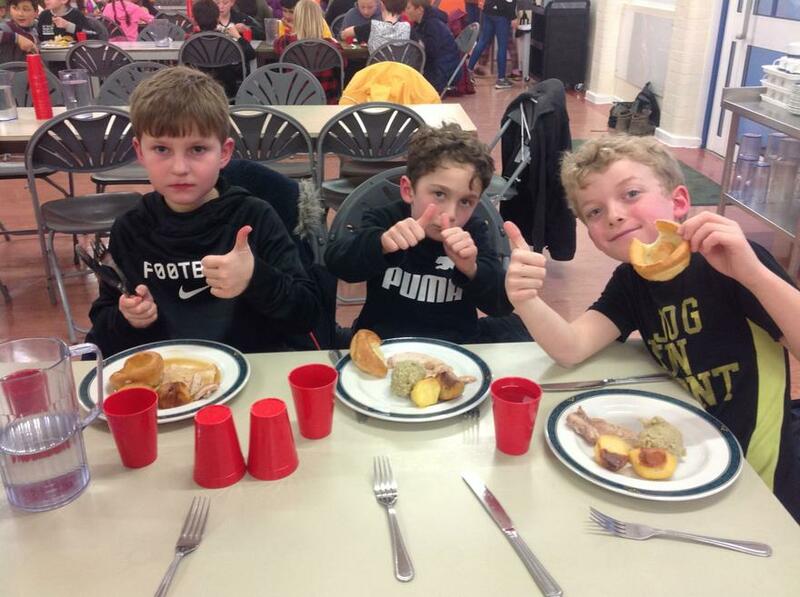 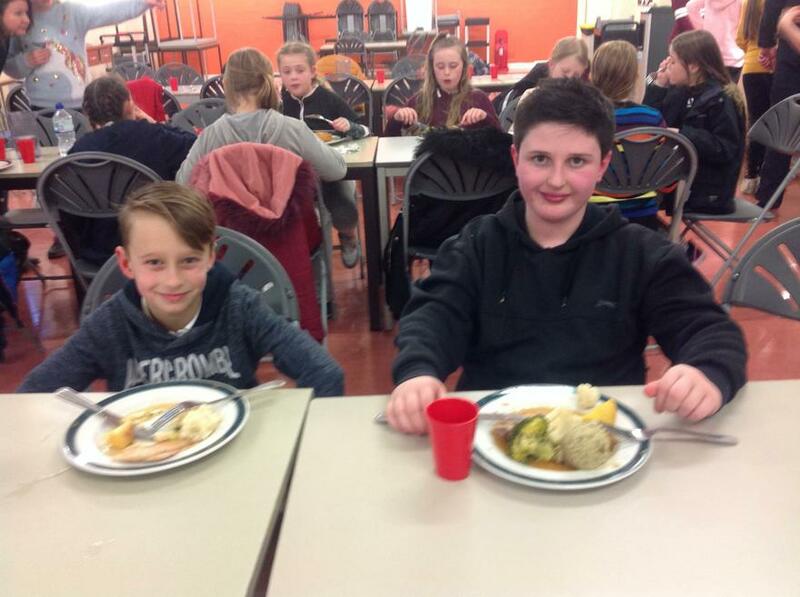 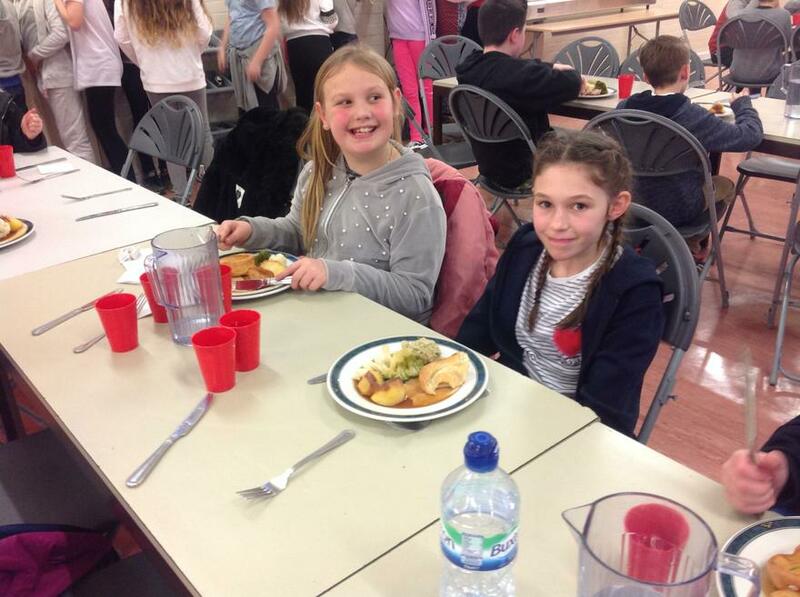 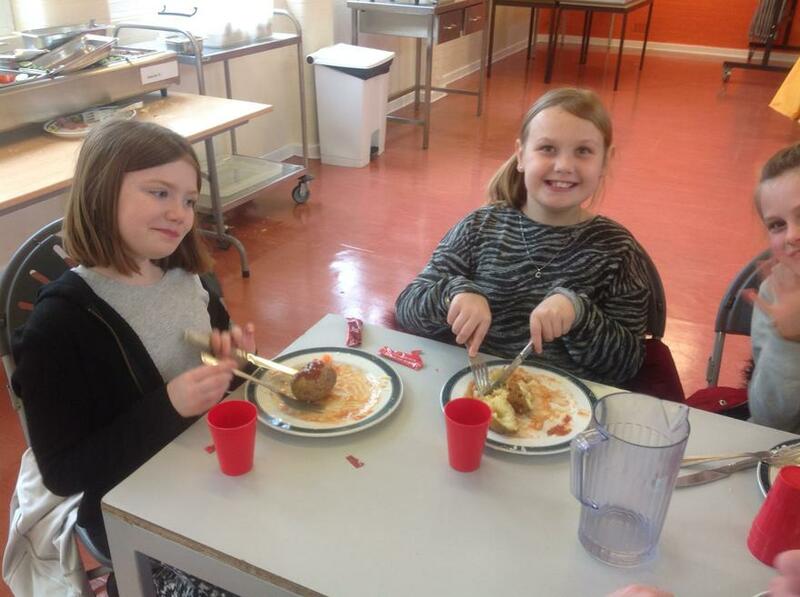 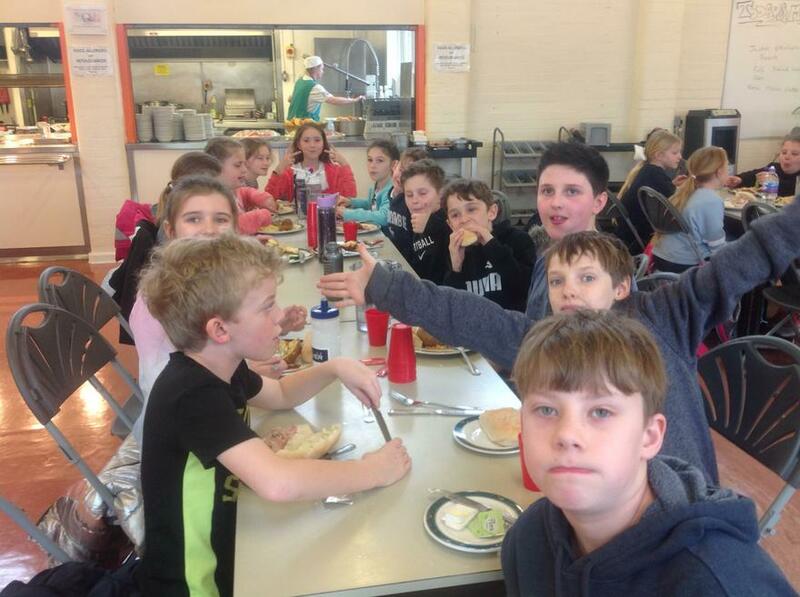 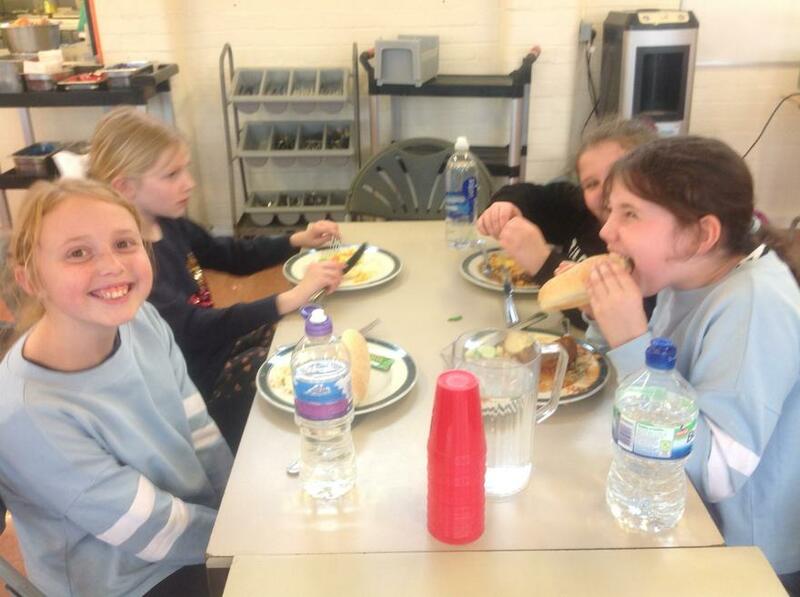 The food was delicious and exquisite according to the children and the chocolate chip shortbread was divine. 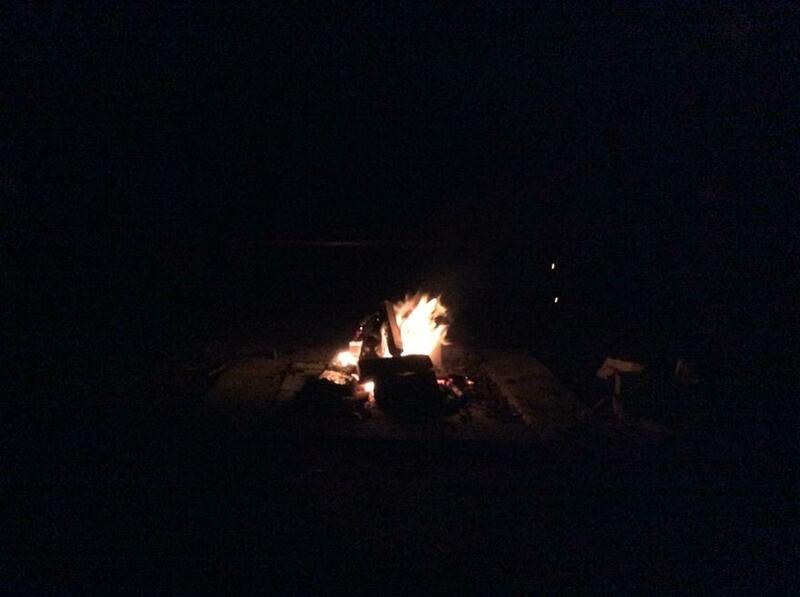 The evening was rounded off with a campfire and marshmallows. 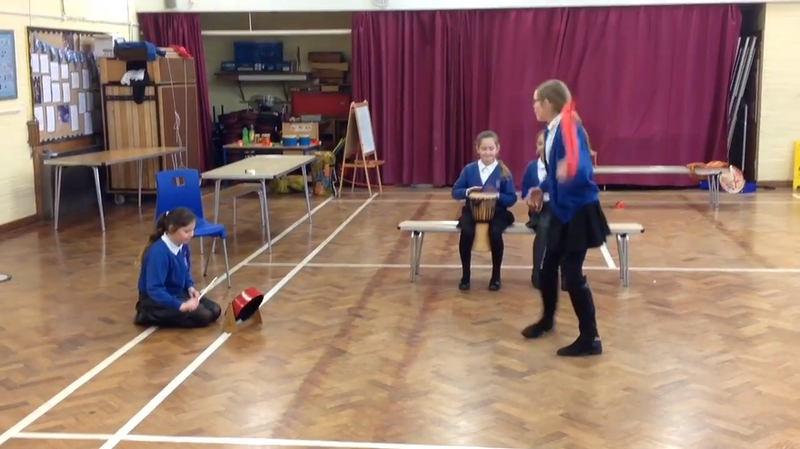 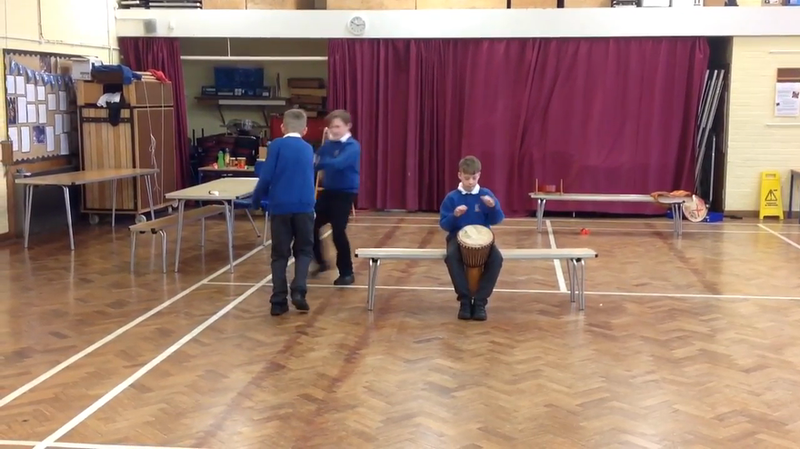 Use the link below to check out our class dance with choreography by Mrs Horton. 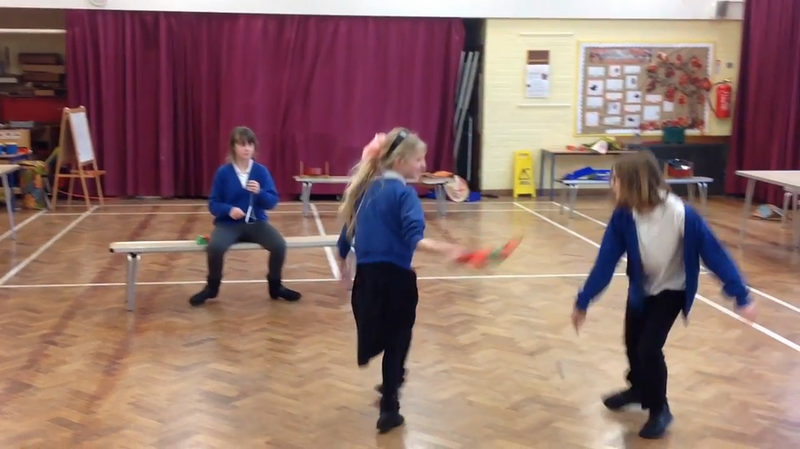 The children made paper chain dragons whilst looking at Chinese New Year celebrations, and then made dances with them. 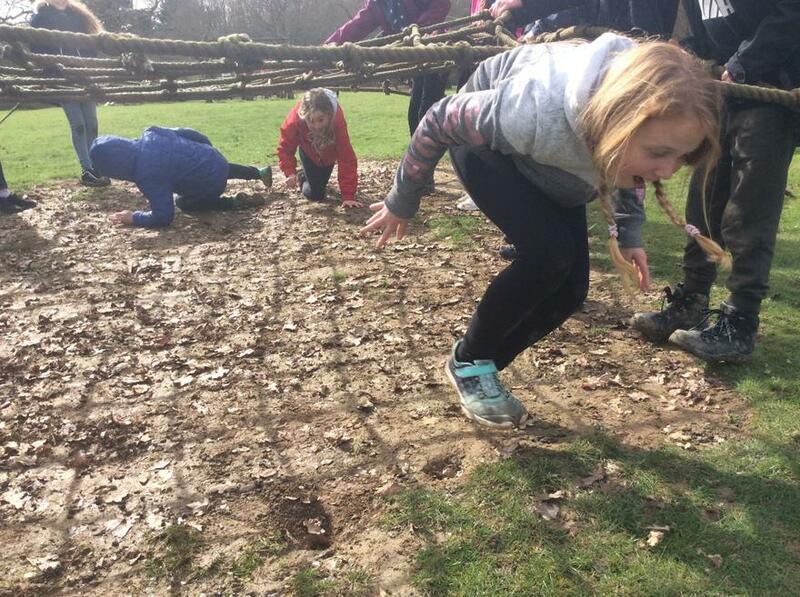 The children looked at a river's course is created by pouring water onto a 'mountain' of sand as if it was rain. 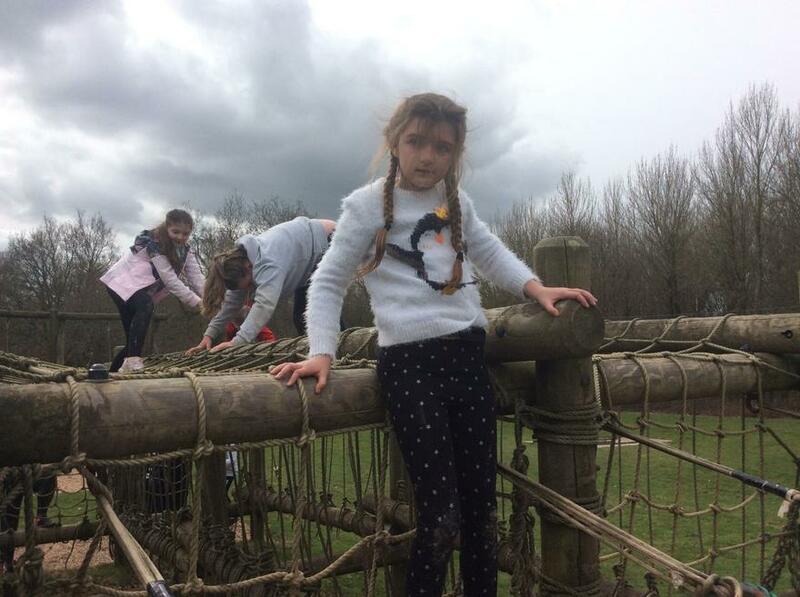 The children observed the changes to the course and the mountain over time, and the effects of erosion and deposition along the length of the river. 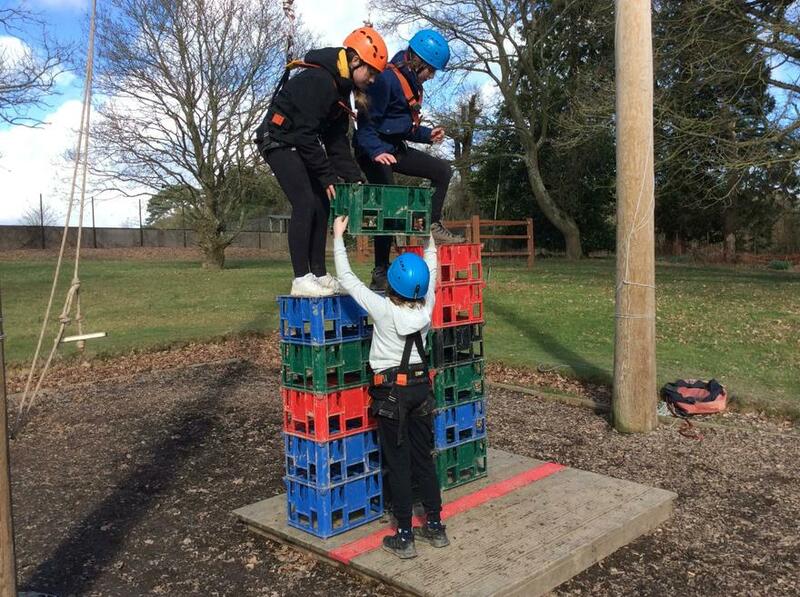 Packaging building for a specified amount. 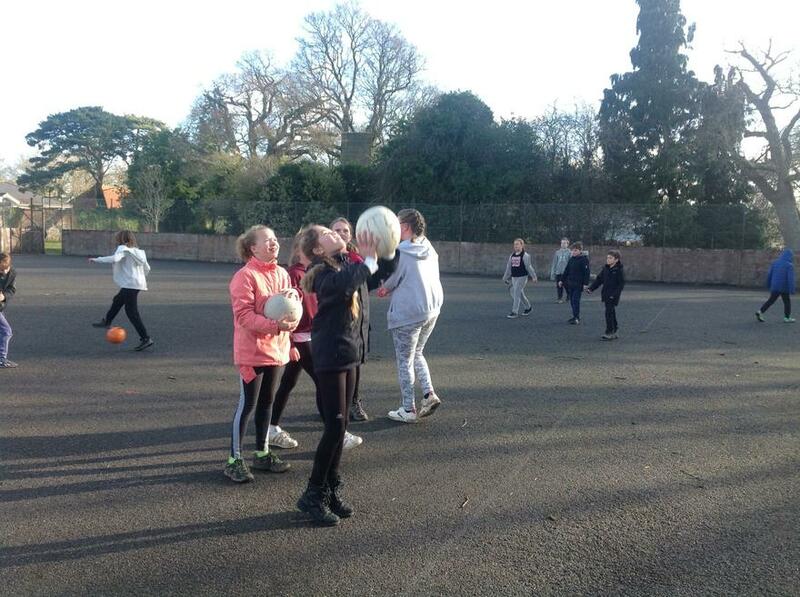 Using our 3D nets knowledge. 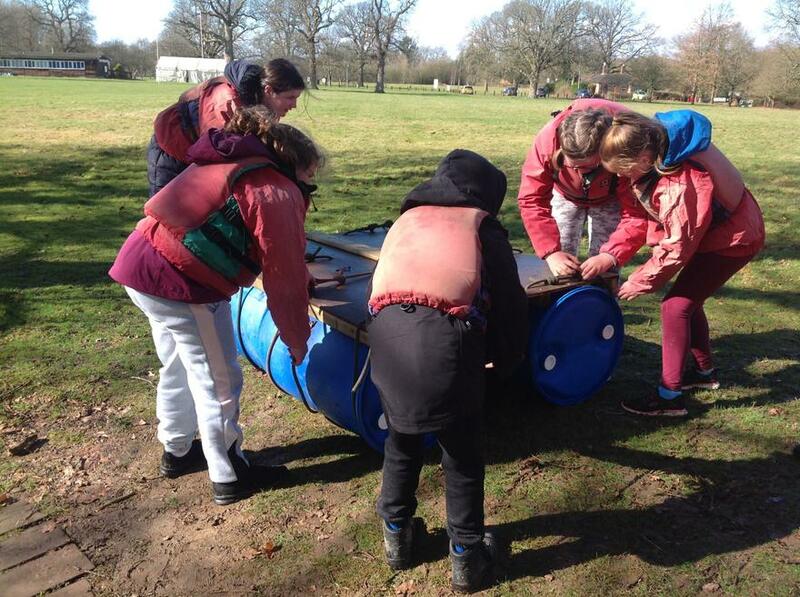 Discussion and team work skills.